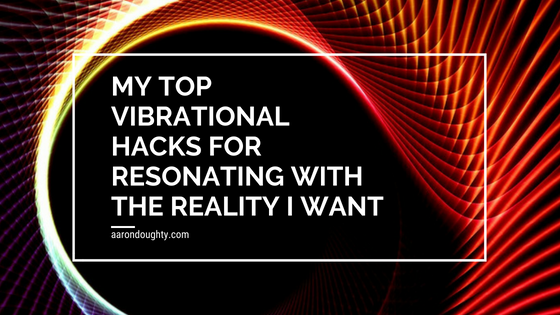 Today, we're going to be talking about some vibrational hacks that we can use to create the reality you want, or we want, and this is going to be things that I use in my own life. These are going to be things that I noticed in other successful people, and they're going to be things that may be a little bit more esoteric, but I think are very, very powerful. For me in general, I look at YouTube, I look at how I've gone in a year from where I used to be and just in case you don't know a little bit of my story. It’s almost been exactly a year since I left my 9-5 job. I used to work at Barney's New York selling woman's shoes. I worked there for about five years, and I knew the whole time that I wanted to be on YouTube eventually or sharing the ideas that I am passionate about. And then in February of 2017, about six months before I actually left that job, I started going all in, I started to treat my side hustle, which was creating YouTube videos. I started to handle it as if it was already my fulltime and within four or five months I was able to go full time, and honestly, I probably could've done it way before, but I was playing it safe and I was waiting until I had the exact dollar amount or whatever, but if I could have figured it out sooner. But nonetheless, it was something that happened very quickly. Once I decided that that was something that I wanted to do, that I wanted to be on YouTube, that I wanted to live that kind of lifestyle. And one thing that I've noticed is that what makes the process so much easier for us to vibrationally create what we wanted in her life and to resonate with what we want is for us to already be passionate about that which we want to experience. Because here's the thing, here's the secret to the success in anyone. If you study anyone that is successful, you will see this pattern within them. It's easier to focus on the things that you are passionate about. They have had to spend a lot of time and a lot of energy on focusing on what they want now maybe they didn't have to spend a lot of energy to focus on what they want because the thing is when you're doing what you're passionate about is very easy to focus on. I was working a nine to five job at Barneys New York selling woman's shoes, which are like $1,200 pairs of shoes, you know, and so matt and I was working there 40 hours a week plus making daily videos, which was taken up a couple hours a day. I was easily working about 50 to 60 to 70 hours a week depending on the week. It was a lot of work, but it's so easy for me to focus on making videos because I'm naturally so passionate about it. The reason I say this is because success takes focus and the easiest things for you to focus on are going to be things that you're passionate about. If you align your passion and you align that with what you want to experience in your life, you're going to find that you leveraged things in such a powerful way. In general, what I've realized in my own life is the more I focus on anything, the more I bring about that in my life, but the more focus you have, the more momentum you create and the more things just happen for you. And see what I see a lot of people do because I've been in this niche for a while. I've been making YouTube videos on the Law of Attraction for two, two years now. I've noticed that there's a lot of people that will focus on something for a short period of time, but then they switched their focus. They focus on getting something, achieving something. Maybe it's even going full time with their passion. They focus on it for a period of time, but then what they do is they kind of give up and they go to something else or they just focus on it for a period of time and then they focus on something else. The key, it's going to take focus in the grand sense and the focus is where the power is, so for example, if I would have given up after two weeks of going daily on YouTube back in February 2017, none of the growth would have really happened. It would have died out because I didn't master that area of what I was passionate about. I put on it, I go to do a video. I just got done filming my video for the day. It's very easy for me to do because it's just a natural part of my life. I've conditioned myself so much and maybe you look at certain things down, you're like, “Oh, it's kind of hard for me to focus in this way.” But the only reason it may be hard to focus is because there hasn't been that conditioning and the why of why you're doing it, understanding why you're doing it. When I make a video every day, I understand that the reason I'm doing it is that it's a part of who I am. I am the kind of person that creates the content. I am the kind of person that is passionate about when I speak about things. That's how I view myself. That's a part of my self-image. When it comes to vibrational renders residents, one of the first things I want to share with you, his focus is so powerful and so underrated. People talk about, oh, it's what you think about is the emotion is this. It is all of those things, but it is also the focus and the momentum. I spend a lot of my time probably 12, 14 hours a day thinking about what I'm passionate about because I'm doing it. I love what I do. When I wake up every day, I film videos; I'm editing videos, I'm doing website stuff. I go to the gym, which is my little break, and then I come back to it. I'm always focusing on what, on what I love to do. If this doesn't feel hard to me though, this is the path of least resistance. Somebody asked me on Instagram recently, they're like, how do you combine the path of least resistance with the idea of taking action? Well, for me, the path of least resistance is me taking action because I'm passionate about when you're passionate about something, it doesn't require a great degree of energy expenditure. The only equal requires energy expenditure. When you're doing something you're not passionate about and you think you have to do more, go with what resonates, but understand that the more you do what you're passionate about, the more that energy begins to work for you, the more that you really create powerful momentum in your life. 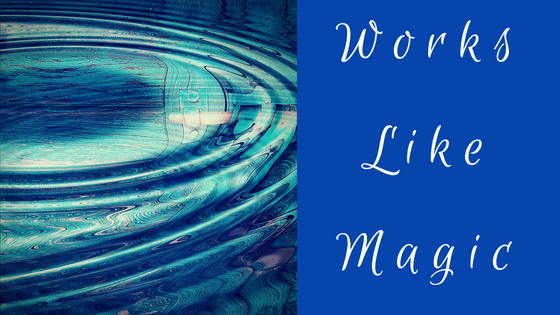 Beyond that, let me share with you a couple of vibrational hacks that I've used in my own life for creating the life I want. First thing I realized is that people, in general, have an energy field. Everyone has an energy field around them, but what you want to do to begin to be similar and in similar, I mean your own version. I don't mean you ever want to mimic people I know. They say, oh, he models success and you'll become successful. You can do that, but do it in your own way. Do it with your own passion. Sometimes we lock ourselves into these thought processes of thinking we have to be a certain way and we get mixed in and we just kind of. We aren't being unique to ourselves or a lot of times what we are unique about is what makes us different. The more I share my esoteric ideas on my YouTube channel, the more that sets me apart from everybody else. Not In an egotistical way. It's just that people are like, oh, I really liked that. I've never heard that before. That's why I know to go in that direction of the more unique you are, the better. Of course, you do that with the awareness, but here's what I've noticed as I immersed myself in the vibration of people I want to be like, the more you become like them, the more I become like them. What I do, for example, is I connect with people that I want to be similar to because you are literally in a combination of the five people you're around the most. That is actually vibrationally true, meaning we have something called mirror neurons, which means in our brain when we're around other people, when we're in other people's energy field, what we do is we start to resonate with the same vibration of them. What we can begin to learn to do is to tailor that environment. Maybe we see that we're constantly around. People that are negative are people that are bringing us down. If that is the case, then we may need to tailor our environment or change the subject or whatever it might be, but what I do is I immerse myself in the thought processes and in the words of the people I want to be similar to. Let me share with you how I do this. What I do is I listen to someone called, you probably know this person, Tony Robbins. Tony Robbins to me represents exactly where I want to be and how I want to be in my life as far as influence goes and public speaking. That's the level that I want to be at. I imagine Tony Robbins and the way that he is too kind of influence he has and I listened to his seminars and I could listen to his audio programs or you know, of him talking in interviews, but I, I prefer to listen to his seminars because the energy that he's in there is the kind of energy that I want to eventually be in. By doing that, by linking up with his energy, I am starting to vibrationally resonate with more of that kind of reality. But I do it in a unique way where I realized I'm also going to be my own unique version of myself. I never want to be a carbon copy of Tony Robbins. But I know that I want to be similar to the kind of lifestyle he lives to the kind of influence he has. What I do is I imagined myself and I vibrationally resonate with the seminars that he puts out. Anytime I listened to a seminar, I'm starting to vibrationally resonate with him. What I could also do is have mentors in my life and that's something I'm opened up to now, is having mentors that are also already public speakers because as I get around them, I'm going to start to resonate more with the reality of being that kind of speaker where I travel for a living and give seminars, so that's how I use it in my own life. How can you use this in your own life or first off, be aware of people that you admire, people that you look up to, maybe those people that you look up to that you'd like to be like and these people? Maybe it is you being like an owning your own art gallery. You love art. You have amazing pieces. You want to own your own art gallery studio. Find people that are already doing it and either get around them, talk to them, interview them, become their assistance, be in their energy field or read their books. Read their articles. I know that anybody you can imagine there is information out there and anytime you read a book, you are literally immersing yourself in the vibrational resonance of that person. There are certain books that you read that you as you read, you begin to vibrationally resonate with that book. One of them is called the Power of Now by Eckhart Tolle. As you read that book, you become more present to the moment you aligned with the energy of it and the same way if you want to be similar to certain people read their books, get into their thought process is see how they think, because as you do that, you're going to be more resonating with what you want to experience in your life, so that's what I do as well. I read books of people that I prefer to be similar like or similar to knowing that as I do that, I begin to resonate with the vibration of those people. That's one of the hacks that I use in my own life for a vibrational resonance. There's another hack that I use that has to do with understanding certainty. Now there are certain things that in your life you feel certain about, maybe you feel certain about your life. Maybe there's certainty with the job that you do. You do your job better than anyone else and you're passionate about it. Maybe there's certainty around a couple certain types of books that you read and you love studying that. And when you read about it, you feel like you know all about it. There's something in your life that you do feel certain about. If you're honest with yourself. And if you look to that, notice how you feel about the things that you're certain about. It feels comfortable. It's a natural part of who you are. Another way to use this is to see yourself as already the kind of person you want to be an almost treat your declaration of your goals. First off, have goals too so many people just don't have goals, they don't have intentions and intention is like a declaration of a goal I intend. What do you intend for and when you intend for something, have this certainty that it is true. Have this certainty that it will come to pass or is here now have certainty and almost treat it as if it's destiny for it to happen. Because as you do that, you start to align where that is the reality. If we have uncertain energy around it, it almost like we key. It's almost like we keep perpetuating more and more of that kind of experience. Have certainty doesn't mean cocky arrogance, but what this does mean is just like you feel certain about a certain area of your life. Apply that same certainty and imagine that same kind of certainty you have about maybe your fitness or your family or your relationships or your job or a certain area of your life. Apply that towards whatever you intended for, so if I feel certain about me making YouTube videos, for example, which I do because I make so many of them and I feel so passionate about when I do it. I can apply that certainty, that certainty feeling. I feel I can start to associate that with me speaking in front of a large group of people because I can see similarities. I'd be like, oh, well, it's kind of similar in many ways. I'm getting into a flow state. I'm speaking in front of 10,000 people a day on the YouTube video. Maybe it's thousands of people in a crowd. It's not much different. It depends on how you look at it. By me doing that though, I start to vibrationally resonate with that reality because I begin to identify more with it and I started to treat it with that certainty because I already know that there are certain areas of my life where I can do that. There's also going to be ways that I can apply it in my way. Certainty, treat your intentions as if it is destiny. Don't be attached to how things happened though. Sometimes what we do is we're attached to how things happen. What you do is you acknowledge your intentions, and you think to yourself, I intend for this to happen or better. Don't limit yourself. Sometimes we limit ourselves. We're like, “Oh, this is the pinnacle of everything I want to experience.”, But we could experience more if we weren't attached to the outcome. Do not be attached to the outcome. Acknowledged that you want it, but know that you're good either way. Somebody asked me in one of my live Q&As, “How do you have a goal but not be attached to the outcome is not like lying to yourself.”. Well, the key is knowing that underneath the surface you're good. Either way, you're already whole and complete. You don't need the relationship. You don't need the extra, this or that. You're already good. You're already okay. You're already whole and complete, and by having that frame, you can see that you could intend for something. You can even desire it, but you don't have to be attached to how it happens. Let the universe bring it to you in whatever way it wants. Knowing and trusting the process, even if it's like it doesn't come right away. Know that it may be part of the process that it doesn't come immediately and the moment you deem that it hasn't come yet is the moment you keep that vibrational lack in your reality. Maybe the little hiccup that appears to be there as a part of the process and gets you exactly where you need to be. You exactly when you need to be there. Understand that with all of this, when it comes to vibrational resonates, this is about you being the best version of you, knowing that you are already whole and complete and that you can easily tailor your vibration to the reality you want. By immersing yourself in the energy field of people, you want to be similar to that. One of the reasons, here's another hack for you. I read and listen to audiobooks from people and authors that wrote the books. They're also saying the books so I at rather than having an audiobook by somebody that's like a narrator for somebody else, they're getting paid to do it. I prefer it to be a book that is by somebody that actually wrote the book because by doing it, I'm vibrationally resonating with the person that thought process, the mirror neurons and I feel like I absorb more of the information that is just conveyed through the words because there's also an energy underneath the words that people speak. This is a way that you can begin to connect to the vibration that you want. By understanding that the version of you that is the best version of you had already exists and you can begin to resonate with it by putting yourself into the energy field of other people that are already in that type of energy, but also doing it in your own unique way, and as you do that, you'll find that things happen even easier for you. If you'll find that things start to happen because you are the accumulation of the five people you're the most. If you're like, well, I don't have these kinds of mentors in my life, the information that you absorbed can also be a form of a mentor. For example, Tony Robbins is one of my mentors. You may say, well, I don't meet up with them every week. I don't talk to him on the phone every week. I was he your mentor? Well, I listen to his books. I immersed myself into seminars so he isn't one of my mentors. Find mentors that people you want to be similar to, and as you do that, you start to immerse yourself in their energy field. You become more similar and you start to vibrate with that version of you in a similar way, but be unique. Be Yourself. Don't limit yourself as well. I understand that anything you want is because you will feel better and have of it, so feel the emotions of what you want right now, and as you do that, you will start to experience what you want even easier. You will start to resonate more with that reality. You can give yourself permission right now to feel the emotions you want and as you do that, things change in a very powerful way, but remember, treat it as if it is a certainty. It is destiny for you to experience what you want. As you treat it like destiny, you will literally start to feel an experience more of that certainty in your life, that certainty you have about some area of your life, merged that over to that of what you're passionate about and you'll see that then things happen in a very powerful way. Also, there's the Reality Transurfing, which is something that I teach, is from a book called Reality Transurfing, has to do with understanding vibrational resonance and how we can resonate with the reality we want in a very powerful way knowing that that reality already exists. I show with Reality Transurfing,, how to use something called outer intention, how to create from this place of almost like the universe manifests for you and it's really a lifestyle for how to live from the heart and a completely new way, but using the principles of Reality Transurfing. That's why I have something that is called the Reality Transurfing, Academy, which will help you to resonate with the kind of vibration you want. If you want help with this process if you want to be around other people that think similarly, and if you want interaction for me, coaching from me, helping you to vibrate with the reality that you want. There is the Reality Transurfing Academy which will show you exactly how to apply this powerful process which has the awareness that there's an infinite number of parallel realities that exist and you can begin to shift to that reality. If you're interested in joining, you can go to aarondoughty.com and you'll see Reality Transurfing on the front page. Click on it, and for a temporary discount, there is the ability to join for only a dollar and to try it out for seven days to see what it's all about and to see if it's something that resonates. If that's something you're interested in, if you want to join and just see what it's about for a dollar, you can do so at aarondoughty.com. 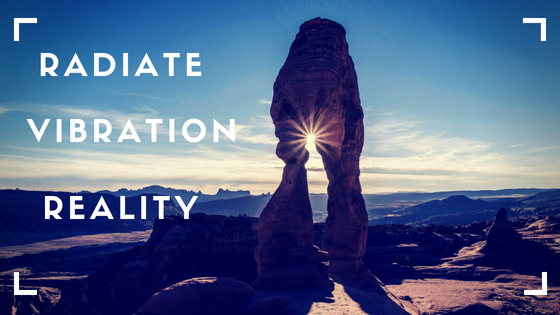 This will help you to resonate with the kind of vibrational reality you want. This helps in the whole process and honestly me aligning with my heart and aligning with what I want to experience in my life and feeling the emotions first has been one of the big game changers. The action is powerful, but there are ways of aligning ourselves with that to where it becomes even more powerful. That's something that I focus on myself and that's something that I love helping other people to do as well because manifestation really is easier than we think. Manifestation is a natural byproduct to the way reality works. It's not something we have to try to do, but when we align our energy in a very powerful way, things happen easier than ever. I'm going to be sharing with you how to radiate the vibration of the reality you want to experience. I'm going to share with you the tools and tips that will make that so much easier so that you start to experience the reflection you want in life. I'm going to be sharing with you exactly how to read the vibration of what you prefer to experience. I’ll be teaching you how to resonate with the vibration and radiate a vibration of what you want to experience. This is about understanding our energy bank. I haven't really talked about this before, but this is in a way going to be infusing the understanding of Reality Transurfing, which if you haven't seen before Reality Transurfing is a very powerful process for creating what you want your life. It's also more of a philosophy or a way for seeing the world and it has to do with understanding that there's an infinite number of parallel realities that exist that what you want to experience already exists. It's not so much that you have to try to create it the old way of thinking, it's like we have to create our own reality which they go about trying to have to go along with that. This is more about choosing it because it already exists. Making choices at that version of you understanding the energy of the best version of you, and then modeling that because as you model that, you start to then to resonate with what you want to experience. This is more about a just going straight to the core of the energy versus trying to be here and then get somewhere else and there are a couple key ideas of three Audi surfing and one of them is understanding this idea of what is called pendulums, our thought structures. Anytime we are thinking thoughts, think of it as there's this electromagnetic energy around our body and what happens is we think thoughts and then that goes into our electromagnetic energy around our body. We have feelings, the same thing, and that will continue for about 30 days kind of recycle itself. If we keep the momentum in that direction. Here's the other thing too, just like we're creating our own reality or choosing it, so are the billions of other people on the planet. We are co-creating it together with the collective consciousness. When many people have similar thoughts about similar things and have certain beliefs, especially with passion and emotion, those team up together, and what ends up happening is we create these thoughts, structures, and with these thoughts, structures, we may think many times we're having our own thoughts when in actuality we're having the thoughts of these pendulums. Another part of Reality Transurfing is understanding the power of the heart, being connected to the feeling more than anything else. Many times, we think the goal is some type of money, but money is a side effect of the real goal, which is what you're passionate about. Money is a side effect of adding value to people and money is a side effect of you doing what you love. That's another powerful part of Reality Transurfing. And then the other most well-known one is part of Reality Transurfing is that have decreased in importance. Anytime we put something on a pedestal, we immediately give it the potential for resistance because we are immediately separating ourselves from that thing. If we were to say, this person that I'm attracted to, I put them on a pedestal than what we would do is we'd immediately make it so that they are unattainable because they either feel the resistance off of us or beyond just that they will just find out that things just kind of happened so that it doesn't work out. This is because there are balancing factors that come into play to neutralize that energy. What's the key to this? The key has the self-image that you are the type of person of what you want to experience. It's only when we believe that someone's on a pedestal that we believe our self-image we are not worthy yet. Therefore, we put someone else up there and it's like we're not linked up to the best version of ourselves. Instead see it as natural for you to attract what you want, see it as natural for people to be attracted to you and you'd be attracted to them if that's your choice. This is about understanding the energy dynamics. When it comes to the power of radiating the vibration of what you want, think of your energy as like an energy bank and anytime there is first off pendulum, so first off, social conditioning. Anytime you're watching the news and all of a sudden something happens, you automatically get triggered. Then what may be happening is that's draining your energy from the energy that could have been used to choose a more ideal reality or the idea of importance. Importance also drains energy. If you are feeling like worried about something happening, you're making that event and that situation very, very important. And in that importance, you're creating the resistance. You're creating a detachment from the natural flow of who you are. That's why this process is all about alignment. How aligned are you to how you prefer to be in the best version of yourself? And you know this. Something that happens in my life too. Sometimes I find that when I'm doing certain things, it'll drain my energy if I don't do certain things, I'm not recalibrating my energy. Just small things like sometimes go into the park. Last night I had to go to the park and walk on the grass. As weird as that sounds, that balances out my energy for some reason. If I don't do that, I do that every single night in Vegas. I walk barefoot on grass because I have a lot of energy in it. Just for some reason, it helps to ground me. I do it at the end of the night before I go to bed. I came here in Seattle and last night I forgot, uh, two nights ago I forgot to do that and when I was going to bed the night that I forgot to do it, my leg was throbbing because there's a lot of energy. For some reason, the energy gets stored in my legs. And then last night I walked on falling a little bit grass patch here in the city. It was like forget exactly. Whereas kind of like over there or something like that or maybe it was over there on that side and I just. What I did is I just a grounded myself in there I go, is able to balance out my energy. Find things that calibrate out your energy, find things that make you feel more connected to the core of who you are. Because when you do that, you then starting to radiate more of the ideal energy. There are a couple of key points to this. Whatever you focus on is whatever you're going to feel. The simplest one is focus equals feeling. Whatever you focus on is whatever you're going to feel. If you find that you are draining yourself of energy, if you aren't preferred in this happened the other day to mean me and my buddy, Victor, we were doing something for one of our launches, showing people how to grow and make a YouTube channel go fulltime doing what they love. My buddy, Victor Oddo and I are getting ready to launch that course. And if that's, if that's something you're interested in. By the way, if you want to grow a YouTube channel, if you want to learn how to go a ditch nine to five job that you don't really care for, do you want to learn how to really build a business that generates you the kind of money to do what you want? It was like it felt like it was draining us, but then what we did is we found another aspect that we could focus on and as we did that, everything just started to flow so pay attention to the feeling. It was something small too. I don't remember what it was, but it was like it was just something we were like, man, we're feeling drained. Just thinking about this one little part of the business and say, we started to focus on different pieces of content and then all of a sudden that part started to come, so what I mean is begin to focus on your feeling prior to the thoughts. Focus on how you feel and then directed as to things that are coming easier, things that are flowing easier and as you do that, you'll find that whatever you focus on, you feel so that when you are in a certain state of being, you start to get and you start to literally shift yourself to what are called life tracks. Under Reality Transurfing there's an infinite number of parallel realities that exist. You are constantly shifting through them and choosing them based on your choices that you're making and what you do is you simply choose the ones that feel better because every time you make a choice based on something you're passionate about, you are then shifting to a higher-level timeline. You're then shifting to something that's more conducive of what you want to experience. Think of it like you have an energy bank and if you are around people that are draining your energy than what I recommend you do is you start to either distance yourself from them or take breaks from it or find people that really influenced your energy in a positive way. People that are very similar to the way that you prefer to be a. another thing you could do to radiate the vibration of the reality you want is to simply get around other people that are already in that vibration. For example, if you want to own an art gallery studio, which you could do, is you could go to an art gallery place and talk to the owner or a try to go to someplace that represents the place that you want to work out. My buddy Victor and I, we are very similar in many ways and we do a lot of the same things together and a lot of times when one of us will make a change then the other one will make a change as well. When I first met him and he moved to Vegas, I started to then work out. We started to work out every day together. I started to then in a way build my body very similar to his, like I'm starting to get a lot leaner. I'm starting to become and get stronger as well. And that's something that I think just because we're around each other so much, we are kind of picking up on each other's habits. That's something else recently happened recently. I switched over to where I stopped eating so many, uh, so much rice, so many starchy carbs and stuff like that. And I did that and I've been doing that for about two weeks now and I feel really good because of a couple of things when you call, when you eat certain races and stuff, it spikes your glycemic index and makes it so that when you store the fat. I've been just knowing also that my energy is really on point when I'm not eating starchy foods like rice and stuff like that. And I stopped eating that and I started to have a lot more energy and I told Victor about it and we'd go to eat and I just wouldn't get rice. And within like a week, he just texted me yesterday. He goes, you know what? I'm going to do the same thing. He's hopping on the same thing. You really are the vibration of the five people. You're around the most. Even the one or two people you may be around the most. You are the accumulation of them. So pay attention to WHO's around you and get around people that will help you to radiate the vibration of what you want. Look at their daily habits and ask yourself, are the people around me serving me? Because if they're not, then even if you don't think they are, a lot of times they subconsciously will influence you even if it's just to eat that unhealthy food or if it's something small like, um, don't go and, you know, do something you are going to do for you, you know, to grow whatever you want to do in your life. Stay here and show with us, you know, little things like that add up. Pay attention to the kind of things that you're doing. Pay attention to the way that you're feeling and understanding that what you focus on. Let me see if there's any part of this at a whole bunch of stuff written down. Anytime something happens that you save and you start to associate with discontent, something is not supposed to be there. The moment you identify something that's not supposed to be there, that's not a part of the process, you immediately cause a disruption in the energy flow. It could be something small. It could be you are intending to create something. I'm not. Let me see. Maybe you were trying to create some. Perhaps that art gallery studio thing I was talking about. Maybe you go into the art gallery and you talked to the owner and they say, Oh, you know what? The owner is not here right now. Maybe it's not meant to be. Maybe I'm not meant to do this. To the moment you associate that meaning to it is the moment that you start to feel and you start to disconnect from that energy flow of you choosing the ideal reality. Instead know that that's a part of the process. Maybe it's meant for you to come back the next day or maybe it's meant because there's another art gallery around the studio around the corner that you could go to. You see the meaning that we attribute to things. The meaning has a powerful effect on how we feel. Give it a positive meaning, which doesn't mean that necessarily has to be the best thing in the world, but the meaning you give it, just allow it to be there and assume it's meant for you. Give it the meaning that it is supposed to be there because as you do that, it starts to more easily flow through the process. That's something as well. Don't be very quick to give things and to assume that something isn't to the blueprint and our mind. Remember the key to something being positive is not whether it is good or bad, it's more so is it integrative or disconnected? Is it connected or disconnected? Am I going to connect this into my life and know that this is a po supposed to be there or is this disconnected and am I going to feel that gap? Have that resistance? Another thing you could do is start to feel like you are literally on holiday, like almost everything that happens is happening for you. This is actually one of the most important parts of the blog. Here we are 15 minutes in. If he stayed this long, then you get rewarded right now, and that is simply knowing that anytime something happens, milk the good stuff, focus on the good stuff and milk it. I've explained this a couple times and it works very well. What you do is, so you go to, um, you're going to some restaurants, some stores, something. You walk it, somebody opens the door for you. Normally they just opened the door for you, right? You're like, okay, whatever. Instead, appreciate that door being open for you. Be grateful that it happened because more of it will happen if you appreciate it, and if you milk it, milk the experiences of what you want to experience. Somebody compliments you, for example, instead of brushing it off and be like, you know what? Thank you. Be genuinely say thank you and be grateful that somebody acknowledged that in you, even though you know that you are already whole and complete anyways, but milk the experiences of what you want because as you milk it, you are more so energy vibrating, vibrating your energy with that reality. Remember, this is more about focus knowing that your vibration is always automatically high. There are just things that may bring us down through our focus. Choose to focus on things that serve you and know that anytime you give something increased importance; you're immediately distancing yourself from the wholeness of who you are. Let go of importance and a powerful way to do that. I have a free guided meditation that will show you exactly how to decrease the level of importance you give, something. It will also show you how to resonate with the self-image that you prefer. You start to radiate the positive energy that's absolutely free. I recommend you listen to it for 21 days, and if you do, I think it will dramatically change your life. And so, the process is about vibration, focus, feeling, choosing the meaning that you give things in your life, choosing the life experiences you want, not creating your reality, choosing it because remember, it already exists. Therefore, it's about getting in alignment with how you prefer to be. You do that through focus, through feeling, it is natural for you to experience these things and as you do that, your whole life will begin to change. Today, I’m going to show you exactly how to set goals using Reality Transurfing, and how you can apply it so that you really start to get what you want in a very powerful way. I'm going to be sharing with you the goal-setting process for that of Reality Transurfing and I think it's a very powerful process that you can start to apply and when you start to apply it, you're starting, you're going to start to see things happen that have maybe never happened before and that's simply because you've started to align your heart to that of your goals. You see, this is the biggest misconception when it comes to a kind of like the law of attraction process, of goal-setting is that people only set their goals on things that their mind wants. The mind wants ego gratification. The mind wants a specific dollar amount. The mind wants a whole bunch of things for reasons that are self like that in a way, kind of just essentially the ego. Whereas when we start to live from a place of feeling at a place of passion, that's when we start to connect to our heart and this can be the biggest game changer when it comes to attracting what you want because what you start to do is you start to have more so look for the feeling than just the intellectual idea. I found that these two things go hand in hand, so a lot of times with especially a lot of the earlier content on this channel, you'll see it's a lot about the intellectual wisdom like understanding the process and how to practically apply it, which can still be powerful. But the more down the rabbit hole I go, the more I realize it's less about the intellectual ideas and it's more about just the feeling and if you can make the feeling a simple thing like how do you feel in the process, then guess what? It becomes much more powerful because even if you do like “work hard”, which is something I also talked a lot about and I talk a lot about it because just literally I've been rewarded for it. The harder work I've taken, I've had better results now at the same time, I believe that that's a certain paradigm and it's a very powerful paradigm. However, there is a paradigm even above that and that's what I'm starting to understand is this a powerful, this powerful part of the alignment and of aligning with goals and a very powerful way. Just to give it basis, let me explain a little bit of Reality Transurfing in general so that you kind of have a basis for it so that when I explained the goal-setting process, you're like, oh yeah, I see what you mean. That makes sense, and it has to do with these couple ideas. First off, if we simply set more intentions in our life, we will start to create more of what we want busy-ness a lot lately because it's so powerful. Set intentions. This means that you said outcomes almost for things that you desire to happen and thinking of it like this reality. In general, is similar to that of understanding parallel realities and because the guy that wrote it. The idea is that there's an infinite number of parallel realities that exist and that any one of these outcomes, anything that we can imagine exists right now simply at a different frequency or different resonance, and what we can begin to do is by changing ourselves in the present moment, we can begin to perceive of the ones that we want to experience. Thinking about like this, the best possible version of yourself of doing exactly what you want to be doing for a living that exists right now in this moment. It's just you're not perceiving of it because you're not being that version of you. You're not embodying that authentic part of who you really are at the core fundamental soul level. When we become aware of this, it's very empowering because literally anything that you want to create in your life, if you believe you can do it. Then you can actually achieve it. So that's empowering to know. First off, I got on the bat, now I feel empowered to take action or power just to set your intentions in my life, right? It is anything you can imagine exists right now, and it's actually, there's an infinite number of frames of reality in the same way you might think of a movie strip. This is the easiest analogy I've found, a movie strip analogy or a film reel. You stretch out the film, you see different frames on that film strip and of course, all those frames exist right now in the present moment, but each one is separate frames based on just when the light is going through it and how they move through. Our brain, we have memory, we're able to tag all of those frames together, but we know that they're also individual frames in there just appearing to be different, separate or appearing to be one fluid reality in the same way. I do like this right now, it looks like one continuous motion, but if we were to break it down in a half hour to put this into editing software right now, you would see it go boom, boom, boom, boom. We could even break it down to each individual frame. That's the idea of understanding parallel realities and that we can start to resonate with what we want to experience and when we do that, very powerful. Another part of Reality Transurfing is understanding something called pendulums. This is important for the goal setting process as well. Pendulums are these thoughts, structures that are created by the mass consensus and mass consciousness. Think of it like this. You may have certain beliefs about what it means to be a maybe American or whatever nationality you are. You know this is, this is kind of what this means, this is the characteristics and the labels attributed to it, and guess what? There are also other people that have their ideas and maybe even very similar ideas about the same thing. What happens is because we have similar beliefs and similar ideas, this can. This creates a kind of like a grid, almost think of it like a grid around the planet, have certain belief systems and have really just social conditioning. Social conditioning is something that's very powerful because a lot of times we think we're thinking our own thoughts when in reality we're thinking the thoughts of social conditioning. This is anytime you feel like you have to do a certain thing or you kind of feel a pull to say something or to do something and you don't know really where it came from. Well, think of it like this. Pendulums are around in every thought structure, every belief that you can think of and really just anything that people put a lot of emotion and energy into those pendulums around sports teams. There are pendulums, these thought structures around politics and around being Republican or Democrat around being certain nationalities around certain beliefs like you need to go to school. You've got to go do this. You have to go into that. You can believe those things and there's nothing wrong with them but isn't really your thoughts and is it really your goals? Many people's goals they think is their goals. When in reality it's actually the goals of pendulums as these goals that we're kind of conditioned to believe, oh, that's just a logical next step. I need to go to school, go to college, get this nine to five jobs, worked my way up the corporate ladder and be happy, but you see that linear sequence, the be happy at the end starts to mess up the whole process because we got it twisted. We need it instead. Put the happiness on the front end and then see that we can choose to be happy in the present moment with our own beliefs and it's just a common belief that you must these even a pendulum around being and how we should go about goals. There's pendulums round saying, if you do X, Y, and Z, you will feel this way and this way is better than where you are now. So, think about it. This pendulum's around everything. Anytime we have thoughts, there's an electromagnetic energy reality to it that we just can't see, and the more we embody it, the more we start to make that materialized. Knowing that the question then becomes, how can I think of my own thoughts? Because when I think my own thoughts, I create my own way. I create my own path. That's another important process as well. And of course, everyone's favorite part of reality and translating that I've shared it with at least the one that has changed my life the most is that when you decrease the importance that you give to anything, you start to more so resonate with what you want. Most of us have a goal. We put it on a pedestal. We say, when I achieve this goal, I will feel X, Y, or Z. We feel this amazing state of euphoria. It's very important that we get this goal. Because it's very important what we create resistance in the present moment and when we create resistance, it's less likely that we are resonating with it. The easiest analogy is if you've ever had somebody you were attracted to and you're like, “I'm going to ask that girl out and ask that guy out.” Whatever it is, you're like, ah, I'm going to do it. They're very important. I really want it to go well and really attached to the outcome. You then go up to them or you didn't start talking to him and guess what? There's resistance there because you want it to go a certain way. You're trying to a kind of control it because it's very important. Whereas the suave guy or the suave girl that just doesn't care, guess what? Things have been easier for them because they're less attached and they don't make it that important. The key to this is to more so see it as natural for you to attain your goals. That was me. It's like creating YouTube videos daily. Growing on YouTube. I'm like, that's just naturally who I am because I create daily videos and a natural side effect of that is growth. It's much easier for me to go along this because it's just natural. That's the viewpoint, so setting intentions, not being banged around by pendulums and not making anything more important than it has to be is the most powerful part of the whole process. I believe of Reality Transurfing. When it comes to goals, the key to goals is understanding that we must have a goal first off, that connects to our heart. I've said this many times before, but if we make the money the goal, guess what? The head understands it. The head is totally in sync with. It's an emotion and I as well, you know, the, it could be an emotion you get from the money, but this is the thing, the heart doesn't understand that translation, the heart doesn't understand that the money is an abstract symbol that then represents something you can get with the money that you have. Instead take money out of the equation and go straight for the goal itself, but also so it'd be like, you know, oh, I want to be able to travel the world instead of thinking about the, you know, the $50,000 that it may cost you to travel the world for like a year or two. Instead of thinking of that, just think of traveling the world for a year or two because then you may open up other opportunities. You know, I've explained this before as well, but I've been offered to travel places for free just because I have a YouTube channel. If I'll just talk about wherever I am and I'd loved the experience. If I was like, oh, it's only if it's a money than accounts, then I would've blocked all those other experiences out of these companies reaching out to me saying, Hey, will you come here and do this when you come here and do this? Make the goal something you're passionate about. Have the way that our mind thinks that has to do. Don’t make money as your goal. Make the goal something you're passionate about. I'm actually passionate about traveling. I love traveling. I love making videos. So, guess what? If I can travel and make the deals at the same time, that's a win-win. That's one of the goals. That's not like you know the money equals that. That's a goal itself. And guess what? My heart can connect to that. What I encourage you to do is to start to look at what your goals really are. If you're like, you know what? I want to live in this kind of house. I want to have this kind of person in my life. I want to do this for a living. Whatever it is, take the money out of the equation and instead look for what the actual goal is. I saw an interview as I was reading before I went to bed last night and I read this thing where Tony Robbins was talking to somebody else. It was like a, a guide. That guy's name is James Altucher. He was talking about this experience he had with Tony Robbins where he was interviewing him and um, Tony said that he was talking to this guy once, that was a lot of seminars or something like that. And he asked them what their goals are and this guy said he wanted to be a billionaire. He said, OK, this is a Tony Robbins, or like, why do you want to be a billionaire? And this guy was like, “oh, I want to be a billionaire because I want to be able to fly a plane, have my own plane flight whenever I want.” And he said, “Ok, you think that, that you need to have a billion dollars to do that.” In actuality, it would cost you maybe 20 or $30,000 flight or a trip or something like that. So, think about it like that. And basically, what they did has he rearranged that guy's goals and realize that what his real goal was, he thought it was a billion dollars with the money. He said your real goal is probably about a $10,000,000 lifestyle for the dream life that you're talking about. But he thought it was affiliated because he wasn't aware of that. We can take money out of this altogether because what if that guy instead of said the money is that my goal is to travel and to when I watch them on a flight, have my own private jet or not even a private jet, but just a plane to get from point a to point b. and what did you know? And maybe his own plane as well did not like you just get on a commercial flight. It can be a goal like that, but have it be something that's more straight to the source rather than what the goal can bring you. It's kind of a different idea, but I think it's very powerful and this is the main key connected to the feeling. Take out the intellectual ideas, oh, it has to happen like this. And like that. The more I realized I focus on the intellectual wisdom of how everything has to happen and trying to control all the outcomes, the more resistance, the more I just go with the flow, the more things happen very powerfully. And think of it like this. The goals that I have to think of Reality Transurfing can in general. How about this Reality Transurfing in general? What does Reality Transurfing mean? Well, that means that there are different realities for different, what we call the space variations or the infinite parallel realities that exist and means we are traveling through that space. If you were to break down the word, I think that in the book and says it means it means gliding through the space of variations gliding through parallel realities, gliding right. It's much easier. It's much more allowing. It's not like trying to control everything and trying to make everything happen. It's surfing, surfing. Let the wave carry you in the same way aligned with the energy state. Align with how you feel. Trust the process, and as you do all these things, things happen in a much more powerful way because you're not giving everything excess meaning or your Ma. You're not making it the goal itself. Here's the key Reality Transurfing setting. Make it the goal for you to be connected to your heart. Make the goal for you to be happy in the present moment, and the more you practice the feeling, the more you will experience the result of what you want. The more you experience what you want in life. This is more about the connection you have to the feeling as you start to pay attention to the feeling more, it changes everything and then remembers decreased the level of importance. If you guys want a free guided meditation that will show you exactly how to wire into these ideas of Reality Transurfing, I've created a free meditation. I recommend you listen to it for 21 in a row. I think it can absolutely transform your life and it will help you decrease the level of importance you give your goals so that you increase the probability that they actually happen. It's about that balance of that energy. If you find that you don't have a lot of energy than what it could be or you don't have, you don't even know what your goals are, it could be simply that, that that drive isn't within you simply because your energy levels may be low. This is something that talks about in the book as well, so think of it like this. Your body is an electromagnetic energy. There's energy that goes outside of your body. It's not like just this is your body. They call this an aura as an energy field around your body and if you are thinking a lot of thoughts that are repetitively and negative and clauses blockage in the body. Things that take your body a lot of energy to break down because if so you may be causing blocks within you so instead aware of that and start to eat healthier. Maybe start to eat more nutrient-rich foods on fruits and veggies. This will help you to increase your energy levels and when you increase your energy levels, you increase the power of your heart center. You increase the power of your intentions and you can actually create a much more powerful way. People will literally respond to you differently. The more I've increased my own energy through being aware of what I eat through just doing what I'm doing, the more I realized that I have a sense of presence when I go places and not saying this as an egotistical type way, but I can, I can tell that people respond to me much differently than maybe they did two years ago and that's because maybe I'm more grounded in my purpose and more grounded in my passion, but it's just something that people can feel and guess what is now linking up with new opportunities to where things are just coming into my life that is happening very quickly at a very fast rate and I think they can have it for you to start to connect to more so the ideal reality you want to experience. Make it something that your heart is connected to something that you feel a certain emotion from. Don't make it so intellectually and all this complicated stuff. Just focus on the feeling. Follow that feeling and as you start to align with it, by not making it more important than it has to be. I'm going to be sharing with you more on something that is called manifestation patterns. With the Law of Attraction, I'm going to show you exactly how to transcend the limiting patterns, so as you start to create what you want easier than ever. What I'm going to be sharing with you more on something that is called manifesting. Patterns are manifestation patterns, understanding that everything we do in our life is a sort of pattern, and when we know what to look for with these patterns that are in our lives with what we create, then we start to have more ability to let go of what doesn't serve, to let in what we want to experience. This is something I've come to understand because I'm starting to realize that there is a paradigm above that, of the Law of Attraction and trying to control or create our own reality. Here’s kind of like the different levels. This is something I've been recently working on, and I'm developing as I go, but it's changing the way I see the whole process. In the beginning, there is the unawareness of the Law of Attraction. There's the unawareness between what we think and what we experienced. Many times, we're just completely in reaction mode to things that are in half that are happening, so something happens, and we get mad about it. We're not aware that we're feeding into the problem and that's the first levels, the unawareness. That's where a lot of people on the planet are because they're not aware of the correlation between what they think and what they experience, and they're also not present and observing it. They're just in the reaction mode of this is happening. It shouldn't be that way. That's the first level. Then there's the level where we become aware that we create our own reality or we become aware of the correlation between what we think and what we experience. We then realize that the things that happen to us, if we don't feed them, they don't really affect us in the negative way that they primarily did. This is a level in of itself, and this is where most people become when they first learned about the Law of Attraction. However, that's like the willpower stage. I'm going to make it happen. That's where I was about a year ago when I was mainly really preaching. Actually, take a lot of action, which is still something I do. I do take a lot of action, so it'd be hypocritical if I was like, oh, just you know, think about it. You don't have to take any action. From my own experience, I've found that when I combined the elevated emotion with that, of taking action, I find that I get the best results, but that's my experience. I know there are some people out there that say that it's much, much easier than that and I'm sure it is, and I know it is for some people. Me though, I love what I do, and I love taking action, so I talk about it from that point of view. That's one perspective. Above that, there's another level, and the other level is learning to let go and to allow things to happen. The more we let go of trying to control anything, the more we let go of resistance. Understanding that the more we let go of trying to control anything, the more we let go of resistance, so in that second level, it is all about creating, making things happen. In a way, it's a good thing because it's moving the energy, but if we become too identified with the ego, we create patterns of resistance because the ego thinks it has to do everything. When if the ego words to just realize it's job, the job of the ego is to focus in a certain direction, but the more identified we become with that, the more that we begin to create this resistance because in a way the second paradigm that I'm showing you right now, so you have the unconsciousness, then you have the conscious awareness and then trying to change. The thing is what are we trying to change from? You see, it's almost this underlying perspective in this paradigm that I'm not whole and complete already. I need to change something on the outside to feel better on the inside. You see it's a paradigm that creates patterns that say, I'm not pulling complete already. Therefore, I need to achieve something on the outside to then feel good about myself and this is something that has some positive benefits, but here's the thing, when we are intending to change the outside reflection, understanding that the outside reflection of what we experience, the outside is a reflection of what we believe on the inside and it's a reflection of the patterns that we have fed on the inside of what we think, feel and do. When we are focused on changing the outside, we're going about it backward. When if instead, we were to first focus on the inside, we would then change everything because all the outside is a reflection of the inside. You see there are these different paradigms. I'd say there are these three main paradigms. There may be a paradigm even above that. We'll get there one day and I'll make a video about it, but for now I'm realizing that there's this take action willpower stage, but it comes from a lack of presence many times because it's like I got to get over here and when we say I'm here and I want to be here, we're emphasizing that we're not over here already. We're saying over here isn't good enough, but the key is to actually feel 100 percent okay and complete now because then we let go of those patterns of resistance. We let go of the patterns of the having to try hard. We let go of patterns that are reinforcing that we are not there already and this is where the power really begins to come into play because we allow a greater energy flow to come through us. You know, we, we may spend a lot of time in the second paradigm building a very strong and powerful self-image. I've talked a lot about this self-image on this channel because the self-image is a very important part of what we will always stay consistent too. Our self-image is a cybernetic mechanism, meaning whatever we see ourselves as is what we will always subconsciously remain consistent too. We'll do our best, so if we see ourselves only may able to make 50 k a year, then subconsciously we won't be able to make 60, 70, 8,100 or 200,000 a year because we are constantly reinforcing, no, that's not who I am. That feels uncomfortable. This is who I am and that's why it's about breaking outside of that, but, but there's a paradigm be on that. It's a paradigm of letting go of who we think we are. Are we even the desires we have? Every single one of us has a voice in our head. This voice is constantly talking and the more that we feed it, the more it keeps going, the more we respond as it, the more it keeps going. Maybe you take a shower; you can listen to the voice. The voice has always talked and if in your head right now you say, what voice is he talking about? That's the voice I'm talking about, but see, that's a one aspect of manifestation, but my intention with this channel and my intention with what I teach is to help people also break beyond the ego's desires and to get into more of what is called we could call a higher self-manifestation process. A pattern of creating from a higher-level point of view because the ego will never have enough. Even if you create a certain amount of abundance in your life, it will go, okay, but what about the next thing? What about more? What about more and more so at the ego does. I remember when I first had the goal of having 100,000 subscribers on YouTube. 100,000 came around. I woke up one morning, 100, 1000 or something like that. The night before, it's like 97. I had a video that went viral, so it jumped really quick. I woke up, Oh, man, 100 now it doesn't take another week. I was like, I'm going to. Make a video about it and thank everyone at the same time after 100 and know kind of feels the same as 98, you know, and now it's at three or something, $370,000, and it contains declined, but there's always more because the ego wants more. The ego creeps these patterns of lack of saying, I'm not there already. Here's something that I found in my own life that I think can I also absolutely change your life. That is if you want everything to be okay, you must become okay with everything. I say that one more time. If you want everything in your life to be okay, you must become okay with everything. This means to make at peace with where you currently are. Know that the only time we create negative patterns is when we think there's a problem. There's a problem here and in the time in the past, we've created this experience too where we close ourselves in, and we say, this is a problem. It should not be here. The moment we do that, we create this pattern in our energy field, and it's a pattern of resistance, and then what we do is we goal ourselves. We will power ourselves to make another goal happen, to have something else happened so that we escape from that reality, but they hire paradigm is understanding that you are already 100 percent whole and complete, that everything in your life is okay the way it is. You can intend for things to happen differently, but at the fundamental core, everything is okay. The more you become okay with everything, the more everything will become okay. That could be a mantra that you start to repeat to yourself over and over again, and it can become your reality in our life. Our energy is either open or closed. We opened it. When we are aligned with who we really are, when we are aligned with our goals, aligned with our passion, we're open to it, we close it. Anytime we judge the present moment, anytime we label it, and anytime we think things should be different than the way they are. When it comes to your manifestation patterns, the key to this whole process is not closing yourself in. We close our heart many times throughout our day. Somebody comes up to us that we remember from the past experience. They don't make me feel good. We close ourselves in, Oh, hey, whatever your name is. Yeah, and then we kind of pretend to be okay with them and us kind of closed ourselves in and we close our heart and then what we do is we put this resistance around ourselves and that will go into the rest of our day whether we're aware of it or not. Then something else happens. We're driving along the street and we see something or reminds us of something else that happened in the past and even though with that thing in the past isn't happening now, the thing that we remember closes is in. Maybe it's you see someone that looks like an ex-boyfriend or girlfriend and immediately you have a negative association with that person. Immediately close yourself in. What is the key to this whole process? We will always manifest more of whatever is in our energy pattern with whatever we react to. The key to this process is to move from the reactive mind to the response mind. When we become aware of it, that's when we shift our perspective. You see, there's always these two main perspectives. There's the identifying the edification with the thinking. Wow, there's a hummingbird right there. Wow, that's cool. There's always either identification with the thinking or there is this observation of what that voice is thinking because if we always react as the voice, we will always continue to create more and more from that level, from that paradigm that voice exists in the bottom paradigm or the up. The third paradigm is a much more powerful manifestation pattern paradigm. What I mean by that is when we're able to observe our thoughts, we transcend the patterns. 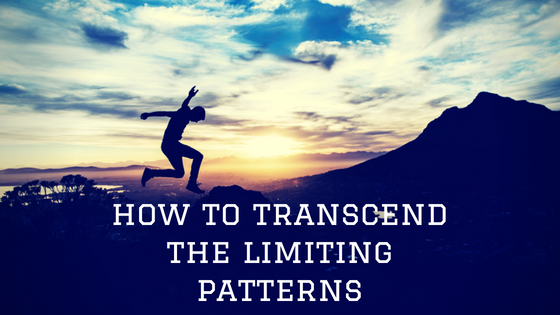 If you want to transcend limiting patterns, become aware of the patterns. That's as simple as that. Become aware of the patterns, become aware of the thoughts you're having, and know that those thoughts are not who you are. Asked herself the question many times throughout the day, who am I? Am I the thoughts I'm having right now? All the thoughts constantly change. Who am I? Am I this label? Am I the person that's in this type of relationship? What if you weren't in a relationship, you wouldn't exist. Who am I? You see, you are so much more than you can imagine, but you are not just the ego and you're not just the stocks that come through your head. Those thoughts or just prior conditioning, the things that have happened in the past and all those thoughts that ego is doing are regurgitating stuff from the past. I'll look at that tree. I like that green color. Look at the branches on it. I like branches. That's just, that's just the ego regurgitating things from the past as no real substance, but we create patterns with this thought process, but when we transcend the thought process, when we transcend these patterns of thought, we transcend these patterns of manifestation. The key is to become okay with the patterns that we already have going. There may maybe these patterns that come up. Perhaps you're in a relationship and old patterns come up from past relationships. Don't fight it. Anything you fight, you reinforce any resistance that comes up that you try to fight. You build that resistance. The power to this whole process is transcending the ego and in transcending these limiting patterns is to simply become aware of them because the moment you become aware of them is the moment you step into more of your power. You aren't the ego. The ego is an aspect, a small aspect of who you are, but at a greater level, you are consciousness. You can observe from this place of what we could call the seat of our higher soul and when you observe, you start to put in more presence into your life. Many people are frantically intending to manifest things, but they aren't bringing presence into their life. They aren't bringing in this level of the now moment and the only time things can really happen is in the now moment. The pattern they create. As always, I'm here and I want to get here, think of manifestation that I'm talking about as mainly resistance because there are positive manifestation patterns can be positive associates, Asians, you had the feel excited when you're with certain people. It opens up your energy, but all it is a focus and it's a perspective and we have these, these outdated beliefs that say that I can only feel love, colon complete when I choose when I have these certain benchmarks that represent that. If you felt depressed after a breakup for example, and you were focused on why everything happened the way it did, all the negative things of that experience, you would drain yourself of energy because you're focusing on things that are out of alignment with who you really are and it will be something that you drain yourself of energy without even knowing it. You may start to feel even more depressed. Imagine that that person that broke up with you then called you three months later and I was like, you know what? We're meant to be. I don't know why, but you were the only person I really loved. Whatever it is that all the sudden out of the depression, you're excited, you have all of this energy and you clean up your house, you make everything look great and you are buzzing with energy and when people see you, they're like, what is going on? You are glowing. What are you so excited about? Oh, because you've given yourself permission and because your focus is now more so and something you want. All of a sudden you have this energy. You opened up your heart again, you open up your energy again. The key is to not need that to happen and to choose to align with this energy flow that you naturally are without needing the external situation to be there, that person to call you back and paradoxically enough. When you let more of your true energy in those things will happen naturally. You will need to get back with an ex because you may attract someone even better into your life that you can't even imagine because then you embody whole completeness, presence, something that's very attractive, magnetic, so this all video, there's not like a three-step process. I mean, there could be, but what I really want to impart to you is that any limited manifestation pattern you have is because you may be responding as the ego and identifying with the voice in your head. You may be reemphasizing that I am here. I want to be here and I'm not here already. Therefore, growing the same pro problem, any problem you think you have is thinking that things should be different than they are, and the secret to this whole thing of manifesting, of changing all these manifestation patterns is that in order for everything to be okay, you must become okay with everything. This is the change, and when you become okay with everything, you allow things to be the way they are. You let go of these patterns, patterns only when things should be different. We identify with our thoughts. We let old conditioning continue to take over a switch from that second paradigm of I'm creating my own reality too. I am choosing my own reality because when he realized that reality already exists, I've talked about this many times in parallel reality. Parallel realities show that every reality can imagine already exists. You don't have to create it, you just have to choose it as that version of you, but you can observe from this higher state of consciousness, this observation state knowing that you are already whole and complete. And that as you do that you transcended the “egoic” desires and you manifest from a much higher perspective. With that being said, one other thing I have is I have one of my most powerful meditations is a meditation that helps you raise your vibrational set point. When you raise your vibrational set point, you do create from this higher-level paradigm, it is absolutely free. I recommend you listen to for 21 days to get the maximum benefit out of it. I think completely change your life and raise her base point. This will help you feel a seven to an eight or a nine out of 10 because that is your natural state of being. I'm going to be sharing with you three dangers of manifesting from the ego and I'm going to share with you how to bypass that so that you don't experience the negative effects of it. I'll come back to another video. I'm going to be sharing with you those three dangers of manifesting from the ego, how to transcend it so that you create from a more powerful place and you don't experience those negative effects. This is something that honestly is not talked about very often in the Law of Attraction community and it's because one of the biggest desires we have is to control everything, to have a disability, to intend to for something to happen. Something that I've learned in the process of my journey of learning manifestation, of teaching it on YouTube of me becoming successful at what I do and living in a totally new level of abundance. The whole process. If you look back on my videos and the very beginning, a year and a half ago when I was making videos, it was on the action taking a lot of action and the reason that was is that I noticed that a lot of people simply weren't taking any action. Therefore, it was like it was the missing key that I solve for so many people that were coming to me. They're like, I'm not getting results. Plus, I was so rewarded for taking massive action and it's worked for me and I even to this day, I still take a lot of action, but I love what I do. My intention with a lot of my videos is to bring in this understanding of connecting to our heart, connecting to an emotion to where we're able to bring an action with emotion. The combination of the two and something that I've learned in the process is that action is important, but what else is important is the emotion underneath the action and living as if it is already accomplished. Almost coming at it from the frame that isn't cup is already whole and complete. Many times, when we manifest from the ego. What we are doing is we're coming at it from a frame that I don't already feel whole and complete, but maybe if I get it because my ego wants it, maybe if I get it then I will feel wholly complete. But guess what? This is a never-ending cycle. You would think on YouTube, for example, that when you get to 100,000 subscribers that it's like this few forwardly, blissful feeling and that when you walk around, I'm the public. Everyone comes up to you and they want your autograph. They're trying to take pictures with you. Everywhere you go. That's the mentality in the mind. That's what the ego things. But the actuality is that once you get to 100,000 subs, guess what? You're looking at a $100 are gone. What about 200? What about $300? What about? It's always a never-ending cycle. It is never enough for the ego because the ego always wants more. Here's the trick though, the trick is if you feel satisfied already with whatever you do have, this is subscriber thing is just a metaphor. If you feel already satisfied, you will achieve your goals faster. If you feel already satisfied with what you have, you will actually achieve your goals faster because you are coming at it from the emotion of satisfaction of already be happy. You can desire and intent for "more", but don't get fall. Don't fall into the trap of that “egoic” type way of thinking, of always needing more because, in the needing more, you normally create resistance because that needing Morris and I'm not already whole and complete. Therefore, we re-emphasize vibrationally that we don't currently have that which we want. 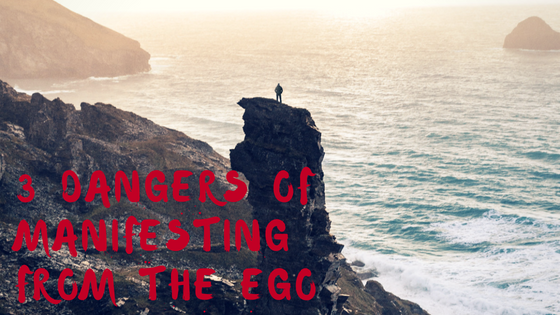 The first danger of the ego manifestation process is that it is never enough. You will never get to that end result from a place of lack and from having an empty cup and you can't even give anything to anyone else unless you already have that. The key is paying attention to how you feel in the process and to identifying what is the desire of the ego and what is the desire of the heart. What is the desire of the soul? One thing that I really intend for with the videos that I make is that helping people to connect the head to the heart. I'll say the head, he just completely let it go. I'm not saying that not fulfill any of your “egoic” desires. Be aware of the ego, but do not identify 100 percent with it. Be like, oh yeah, is this something that I want or is this something that my ego wants? And what is the pure intention behind it? Maybe you've heard me talk about this before as well. I believe that in a way the universe starts to manifest more for us when we start to have this intention of adding value to other people. When we have this intention to add value to other people, we tap into more of our heart, to energy, but also in a way this is about understanding who we are at a deeper level. Because in the same way that I might say I'm an individual person and this is my experience of creating my own reality, collectively, we create our reality together as well. These are things that happened in the collective consciousness. This is a big event. If there's, I know there are people that say that at a collective level though it agreed upon. Maybe subconsciously, we're not even aware of it. Collectively, we create our own reality. Just like individually we create our own reality collectively when we have an intention of adding value to other people call that like the system, the universe. We're also adding value to the whole system itself to the whole universe. Therefore, it's almost like the universe wants to flow through us because we're not just going about it for ourselves. We're also adding value to other people. This is something that I've talked about in a couple of prior videos and it's something that I personally really believe in. I believe the more value I add to other people, the more I have a pure intention and by period tension, it doesn't mean that I'm void of my ego. It doesn't mean that my ego is not there. Doesn't mean that I'm some saint sit on top of a mountain that's just peer. What it means though is I'm aware of the ego. I'm aware that there's this desire to grow and to get the message out there, but at the same time, I'm combining it with this intention to add value to other people because of the more value-add to other people. It's almost like the more the energy wants to go towards me because I'm going to use it for good, I'm going to use it in a way that adds value to the system, the whole rather than just myself. The first danger is that our ego never has enough and that we ended or we continue a cycle of always feeling not enough, and you. There are people like this; there's people with multiple tens of millions of dollars in their bank account. Very successful people that still never feel enough and that is a trap and they're always wanting more and there's nothing. There's progress. I mean, part of progress and satisfaction is progress, but it's the way we go about it. Are we identifying with the ego and believing in its trap of, Oh, when I achieved this, then I will feel this? The truth is you could feel whatever emotion you want by choosing to feel it. It's just in our mind we say, I will give myself permission to feel a certain way, and then when we achieved something, we give ourselves permission to release the dopamine and the Serotonin. It's a funny idea, but it's the way it works. Instead, feel that Delta means in Serotonin right now by choosing to say, you know what? I'm already whole and complete. People say, Oh, when I get into this relationship, I'm going to feel whole and complete, but then they attract someone that's not whole and complete as well. It's almost like they attract somebody that also is looking for someone else. The second danger of manifesting from the ego is that you create a chaotic experience because the ego thinks it has to do everything. This is what I've had to learn because my ego, I was rewarded for taking so much action with a YouTube channel that grew very fast with a lot of abundances that came in very fast. But thinking that it was just my ego that did it is what would cause me to inflate myself and to think that I'm always doing everything as the ego take on more than I need. The truth is I can allow more and I can let go. Otherwise, I run myself to the ground. I, I work too hard. I create resistance, so imagine manifestation as a river, as a flow of energy, and this is a fast-moving river and it's going to take you to where you need to go. If you allow it to and you go with the stream. It's kind of like the Abraham Hicks analogy and you're going with the stream, but see, this is what happened. Sometimes our ego gets in check, our ego comes into play and it says, I need to figure out where to go and it's trying to imagine you're in a boat in it and then that's boat. You're frivolously trying to paddle in a different direction or you're trying to paddle and hang onto these branches and stuff that are close by because you think you know what has to happen. When in general, if you just go with the flow of things, it takes you exactly where you need to go. See many times that's what happens with the ego is the ego thinks that it's the captain of the boat and it has to frivolously do everything. When we can trust the process of manifestation, the river is going to take you to where you need to go. Just the ego thinks there's a. there's a waterfall at the end of it and you're just going to die, but that's not true, and if you trust the process, you won't shift to the stream that takes you to that waterfall. It's about knowing that you can trust the process as well. I remember I went to a life retreat place in Costa Rica. I was there for a week to this breath workshop, learning to spread the workshop, brought it all this oxygen in my body and let go of a whole bunch of emotion that was stored in there for my childhood and I let go of a lot of negative resistance, but that the message I got through that whole week. Things don't have to be as hard as you think they need to be. Let go. Allow Trust, let go. That make things so much easier. I didn't hear that. If I didn't get that message, who knows? Maybe I'd be created so much more resistance. Wherever we create resistance, we create more and more problems that are reflected in that. This is about having the awareness that we don't have to try so hard. We can more so allow these things to happen that this whole creating your own reality thing sounds very great to the ego. However, what I'm learning is that there is this higher perspective of manifestation. This higher perspective of manifestation is where we align our head to our heart or we trust things to happen and where we understand that we are not just the ego, we don't have to create our reality. We simply have to choose it because, from a quantum physics point of view, there's an infinite number of parallel realities that exist and the reality we want to create already exists. This is more about choosing it from a place of awareness and the choosing of it. We don't have to identify with it and we don't have to and we don't have to impose all of this energy on it and try and all of this. There's a resistance. So, let go. Let it be easy. And as you let it be easy, you'll find that things happen even easier for you. The third danger of manifesting from the ego is that the ego creates so much rigidity thinking that the ego knows everything that we ended up putting ourselves into a little box, this little box of what we think we can do and we get it confused as to what the job of the ego is. The job of the Ido is not to control everything or to control reality. The job of the ego is to focus in a certain direction and to align with the heart space to align with the passion because you see there's this. Let me use this analogy, lots of analogies in this video. Second analogy, a lot. What we do is imagine that our higher self is on a mountaintop. This higher self is a more expanded view of who we are. What do we go to bed at night? We wake up as our higher self and that is who we are, but we don't remember it when we wake up in the morning because we simply don't have the reference experiences to remember that we can only use remembered things that our brain can interpret. We get these symbols, we get these symbols, oh, I was in my dream last night and this is what happened with this co-worker or whatever, but that is simply a symbolic representation of something we can learn something from the subconscious line and actuality our natural state of being as unconditional love and bliss. That's a higher level of consciousness. That is who we really are. We're simply dreaming. When we wake up in the morning, we say, “What's really happening is we're waking up in this dream and we went to sleep from a higher level of consciousness.” Now, we're still connected. That higher level of consciousness is our higher self, which was always connected to. It's about being in alignment with that and the way that we become in alignment with our higher self is by following our passion. Our higher self is on the top of a mountain and our ego-self is in a valley. The higher self is on topic and sees the obstacles of the ego, and the higher self will broadcast a frequency that the ego can connect to and that frequency is passion. Excitement and then the ego can go up the mountain and sometimes they won't logically make sense. There may be some type of it looks and appears that this is a better route to take, but you see the higher self can look and see that the route eventually dead ends and you're going to have to go back. If you would just simply follow the guidance of the higher self, which is the vibrational frequency of excitement, then you would get up the mountain even quicker. You would enjoy the process even more and things would happen even easier, but sometimes the ego knows everything. The Egos in the valley, it's like that looks like the best way to go. This excitement thing, it's not going to get me there that fast. There's this route right over here. It looks even looks even quicker. Then you start going down the route and you realize that there's this cliff and there's no way to get over and you got to go back, but instead you can trust the higher self. But when we identify with the ego, we identify with our little self and we keep ourselves into a metaphorical box. We create rigidity. We think that we know everything, and that's where a lot of resistance has created. Resistance is created from trying to control from thinking we know, and from that perspective, we put ourselves into a box and us then a lot of times have experiences that are even blind to us. This is the other thing I wanted to talk about so we can only experience that which we believe to be true and we can only experience that which we are. There may be times, there are opportunities in your life that could be things that can absolutely change. Your life could be the answers to everything you want to manifest, but maybe you simply don't view it. You can't see it because you're not the same vibrational residence of it. Because the ego is like, that's not a way to my manifestation. That's not a way. We're not interpreting things as we choose it. If you do this little thing right here, it will change your whole life. Treat every situation in your life as if you chose it and then things will happen so much easier because anytime something happens that we think is not part of our manifestation, something happens, we say, oh, that sounds supposed to be there. The moment we say that is not supposed to be there, we lower our state of being. We let go of our excitement and then we shift ourselves to a life track, a parallel reality that has left so reflective of what we want. What if every time we assume that something is meant to be, there are state goes up, our state goes up, our estate goes up, our state just continues to go up, so the key is in the interpretation of the events that are happening, but if we have a certain blueprint of our mind of how things can happen or should happen, then we may be blinding and blocking out all of these other things. Creating blind spots for ourselves because we think that nope, it can't come through in that way, we assume that, oh, I want to attract a certain, a level of abundance in my life. If we think it can only come through with money, money is the only way that it could come through. Then there could be someone that comes up to us. It's like, Hey, I have this great opportunity that looks, this is something I think you would love, and you're like, nope, it's not money. I don't want it. When it could be an opportunity that could lead you to the next best thing that could get you that opportunity to make a whole bunch of abundance, but you see the ego is to only foot. I'm just focused on the money. That's what I want to create my life, but then an opportunity comes in and we're blinded by it because we limit ourselves because we know it all. We know how everything should happen. The key to this whole process really is letting go of the ego. Observe your thoughts from a neutral place. Understand you can focus in a certain direction, but don't get caught up in the trap of the ego. Don't get caught up when I accomplished X, Y, Z. Then I will feel happy instead. No, you can feel whole and complete right now and by feeling whole and complete right now, your goals will manifest faster than ever. Understand that you can let go of the outcome. You can let go of thinking that you have to do everything you can understand, that you can stop trying to. They paddle everywhere that you go. You can just let the river carry you. You don't have to create your own reality. You simply have to choose it from a space of awareness and that as you do that, things will happen even easier for you. You won't have these blind spots. You'll be able to see opportunities in your life that are more reflective of who you prefer and how you prefer to be. This is an easier process. This is taking the Law of Attraction to the next level. This is really combining an eastern philosophy of letting go of who we are at a soul level with that of manifestation and the Law of Attraction. I think it is so powerful and I think if you apply it, it will change your life. I'm going to be sharing with you the truth on manifestation with understanding higher dimensions. I'm going to show you the truth about who we are at a greater level and how we can begin to align with who we really are. 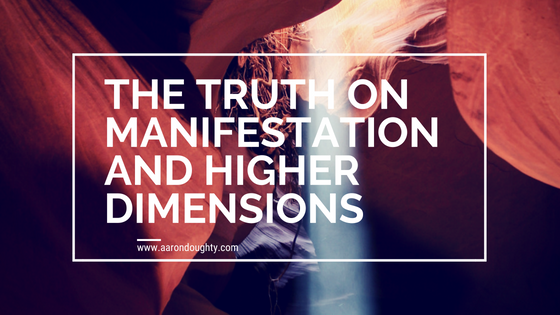 I'm going to be sharing with you today is the truth about the higher dimensions and understanding how this correlates with that of manifestation or the Law of Attraction process. This has to do with almost a grander picture as to why things are the way they are and also who we are at a greater level. I believe that we are immortal spiritual beings having a temporary human experience. This is something that you can read and a lot of literature and meditate on yourself. This is something you can find out for yourself if you have a spiritual awakening. That is something that happened to me and a lot of people that are watching this channel. I guess that you have also been through something very similar when it comes to a spiritual awakening or just knowing that there's more to life than that of which we are experiencing now. I've been talking recently on this channel about an idea of something I'm going to be sharing a little bit more on as time goes on because one, I enjoy talking about it too. I think it's a new perspective that allows us to really expand our consciousness to see things in an entirely new way. This actually has to do with a quote from Elon Musk, and it is a quote where he says that he believes that the chances that this reality that we experience, that this reality is the baseline reality. The true reality is a fraction of a percentage. He says that he believes that the chances of that being the true reality is a fraction of a percentage, which means that it is highly probable that we live in a form of a simulation. When we play video games, we are playing a character and we are doing certain things with the character and there's a certain experience there where we can kind of in a way put ourselves into a different position, into a different mindset. We may at a steeper level. We know that that is a game, yet we play it and we have fun with the process and even some people that play the game, they get mad or frustrated if it's not going the way that they want. In the same way with what we have with virtual reality, with VR, we can already have the type of helmet that you put onto where your brain really doesn't know the difference between what it is seen and what is actually true. It will actually feel the stress of what's ever happening or the happiness of whatever's happening because the brain doesn't know the difference. I actually had my own experience of this. I've shared it before and a couple of videos, but my experience was that I wore a VR headsets when my cousin came and we were at my dad's house and we're having like a family thing and we put on the PS3and it was like this game thing and you put it on and you're looking around and you actually feel like you are underwater. This particular game was you're underwater. You in like the shaft. You were descending down into the ocean. You saw fish swim by. You saw coral. All this really cool stuff and when your head moved, so did the pitcher you received and what happens is eventually there's this shark that comes by and the shark that comes by comes kind of goes close to the cage. You get a little bit scared and then it kind of disappears back behind you and to like a dark abyss and then all of a sudden you look back a couple of seconds later and it comes fast at you, and then bites and the cage takes a chunk out of it. Then you're vulnerable, and you're open to this shark. Where you can't see where it is and you're teetering and looking over, and you see dark back down into the dark abyss going all the way down and it kind of scares you. You almost feel like you actually kind of have like this heights thing even though you're underwater, but nonetheless, it made me realize that even though I knew it was a game, it felt very real and it was hard to see the difference. I almost just surrender to it. I would have thought that I was there. I know that that was the case. This is the first part of us being able to learn about virtual reality. We're like the very tippy, tippy beginning. We barely have even start with the progression of technology with virtual reality and yet we already can't tell the difference between what we imagine, what we are experiencing. I guess that in five or 10 years, give or take maybe 10 years. I think it will be sooner than we think. Though we will have the ability to be wearing something that we can't tell. The difference between what is real and what is not real now from a higher dimensional state of consciousness, what I believe we have done is we have come into this life, forgotten that we are immortal, spiritual beings because one of the purposes of life is us to remember who we are. It's us to remember that that is who we are. That's part of. It's one of the facets of the life experience and then when we remember who we are, it's a very empowering time because then we have a little bit more flexibility. We become aware that we are immortal, spiritual beings, living a temporary human experience. We have these avatars called our physical body that we perceive through the five senses and the five senses that we perceive through our just interpreters of vibration. That's what we are doing. We are literally interpreting vibration. We can see touch, feel, the taste here. All of these things are interpretations of vibration, but at a fundamental level, we are much more than even that of just our senses and maybe in this life we become identified with painful situations and sometimes those painful situations allow us to create pressure that then we come out and we understand things at a deeper level. That's when a lot of people have spiritual awakenings. I went through a lot of pain growing up and one of the reasons that could have been because that led to me having a spiritual awakening. Now, when I say all of this stuff, let me talk a little bit about who we are at a greater level because then it helps us understand how this all fits together at a greater level. I believe that we exist in a higher dimensional state of consciousness, a higher dimensional state of consciousness where we feel unconditional love. This could be considered a higher dimension and in this place, we are actually. This is the cool idea. We're actually there right now dreaming that this is who we are and when we go to bed at night, I believe we are waking up as that version of us and we think that when we go to bed at night we are going to sleep, but in actuality we are asleep right now dreaming that we are here. It's just that we have a continuation time, space, reality. We have such a fluid dream in this life. We could say life is a dream, just like life is a game and we could say that life is a dream and it feels very real and it's a consistent dream. Then it feels even more real, but what if it is actually just a dream that we are experiencing that could still have fluidity. You can still have time, space, linear reality because this dimension has time and space, but in higher dimensional states of consciousness, we are unconditional love and bliss, and when we want to create something that happens instantaneously, there was no gap between thought form, inexperience. There’s a gap here because of the dimension we live in. There's a gap of experience, I think of something I want and then if I create resistance, I block it, but if I can let it go, then it's more likely to come into fruition. This is a game that we experience of how we can focus, not be attached to the outcome, trust that this higher self, this higher realm of consciousness can flow through us and then we can experience what we want in a very powerful way and what if that is part of the experience of life is the gap that we experienced. That's what makes it beautiful because we can learn more and the gap. Imagine you're in the higher dimensions. Things happen in detaining honestly. Of course, it's still fun, but it's a different perspective. There are more lessons to be learned when things are slowed down, so we experience 70 to 100 years of experience could be longer by the time we get older, and we experienced this and we can learn so much compared to what we'd learned in different states of consciousness and one of the experiences in our life now is becoming aware that we are unconditional love, that everything we experienced that is negative is us showing us what is not us. It is showing us the different facets that we can observe and then let go. We can become masters of emotion, which is one of the purposes I believe. His life as well is becoming masters of our emotion, understanding emotion at a deeper level that may make this dimension a little bit hard because there's a lot of negative emotion, but there's also the potential for a lot of positive emotion in that adventure of going from the oppressor of negative emotion. Then into transcending levels of consciousness to going back to who we are to remembering who we are at a greater level. I believe that when we think of something at a higher dimensional state of consciousness, it already exists. We could also look at this and look at parallel realities. There's an infinite number of parallel realities that exist, anytime you think of what you want, it already exists. You've already realized it at a higher-level state of consciousness. The key is catching up that of your ego, that of your Avatar in this light with that and the way that you do that is by remaining in this state of consciousness that you prefer remaining in that trust of the process because the moment something happens and we gave it a negative meaning, we say, oh, this isn't part of the blueprint is the moment we take ourselves out of this state of being. That gets us to that realization of that manifestation. However, everything exists here and now because when we think of it, we may not physically see it, but the thought form exists. The moment we think about it, you may know someone like Abraham Hicks who says, the moment you think about at the moment it already exists. This could be because at a higher level of nonphysical energy of consciousness, it already does exist. It is just about us embodying the vibration of it now, which means feeling the gratitude for it now not be meaning attached to the outcome because if you had that thing, you wouldn't be feeling resistance and as you let go of resistance, you become more of who you naturally are and you're more likely to experience that at a greater level. I believe that at a greater level, every night we go to bed, we wake up at a higher level of consciousness that we don't remember this in the morning because maybe it's not relevant. Imagine you remembered that you feel unconditional love and bliss. When you go to bed at nights, I imagine that you remember that things happen instantaneously and that you have and are surrounded by so much love in the higher dimensions because that's who you naturally are, but then you come here and you remember this and then you might not want to be here. This is why so many people have what is called NDEs near-death experiences and they come back and they are completely changed. They realized that they are so much more than they probably thought they were. They realized that a lot of times they don't want to come back because they feel so much love and bliss, but they have to come back because there's something still to be learned at a certain level. They chose to come back even though they might not be consciously aware of it, but I know people that have had NDEs near death and it forever changed them. Not just that. A lot of them came back and completely re prior, prior. They put a new priority in their life and what they did is then they saw things in a completely new way and that shows that there is a good possibility that that is who we naturally are. Now, an NDE is something that kind of shocks us into that kind of experience. However, when we go to bed at night, we are also awoken in these levels of consciousness. Our brain will give a certain symbol which we call dreams because that's what the brain can do is it can give us things that we've already understand in our current life, ways of digesting information so we may have some weird dream where we do something and we have no idea of what this could mean. But the information does get digested at a certain level, maybe even at a subconscious level, but maybe it's the only way that our brain or our dreams can come to us, is through the symbols in our dreams, but in the high dimensions, I believe it is so far beyond what we can even imagine that we just get these little glimpses, but at a fundamental level, we are that unconditional love, that higher state of consciousness and we are there right now in a deep sleep dreaming that this is who we are. I'm dreaming that I'm Aaron Doughty, that I make videos on YouTube, that I get up every day, take a cold shower, and I filmed videos. That's who I am, but that's a part of who I am. That's part of the Avatar. The steam experience I'm having through these five senses where I can taste, hear, smell, touch, and all of the senses can interpret vibration. That's what I'm experiencing, but I'm also aware that I am a greater connection to consciousness, a higher dimensional state of consciousness as who I really am in a higher state of consciousness as who you really are. You are unconditional love and bliss. That is who you are. The only time you won't be in that is when you are identifying with less than that with a story that maybe doesn't serve with a focus on the highest things going to happen. Are Things going to happen? All of these different perspectives may hold us back, but at the fundamental core, you are that unconditional love. That is who you are and at the end of this life, I believe that I will "die", but wake up in a higher state of consciousness and I will wake up and then say, wow, that was a crazy dream. That was a dream of an experience. I learned so much, but it was a dream and just like we wake up every morning and we go, wow, that was a crazy dream. I think the jokes on us because we're dreaming right now. This may have some fluidity. This may have some type of consistency with time and space, we think, oh, this is so real, but it is an experience that feels real and at the fundamental level, I believe that you are an immortal, spiritual being, living a temporary human experience. The more that you tap into this, the more that you experienced it. Have you been who you naturally are, and I believe that one of the purposes of life is to remember this. 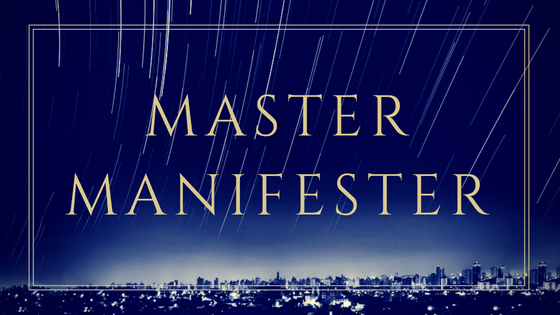 Today I will share with you how we can create and become what is called a master manifester. It's going to be talking about the mindset of what it takes to become somebody that is able to create what they want in their life and really to kind of like being a winner in life in general. Now, this doesn't have to be a winner like everyone else loses. Maybe I'll talk a little bit about something that's with them that comes to competition and the law of attraction. But this was actually something that's inspired because I'm currently in Sedona and I'm with my buddy, Victor Oddo who many of you guys know and were last night while we were doing as we went for a hike yesterday we went ate at this great restaurant and then we had an Asai bowl we will get our sables to come to these epic ensembles here in Sedona and we got that. And then what we did is we went to the hotel we have has a Sonho in the sauna. Then after that, we went and we had a couple of hours before it's time to go to bed and we were going to get some work done but you know what I'm kind of on vacation here when we go to Sedona. We normally come here to either go on vacation just to recharge our batteries because we're so busy back home in Vegas or we'll come here to get some work done. Like last time we arrived, we were putting together this whole this whole thing together that we were doing. And it was like a real work intensive time last time we came. This time was cool because there are times more of his vacation. We're like hey we could be doing like work and stuff. You know we could be doing stuff or just going to relax so what we did is we watched the documentary is actually a documentary. I've already seen and it is a sports documentary and it's on cross fit. If you guys know a cross fit is cross fit is like a type of work out where what you do is there's very functional exercises and is pretty intense like people would be doing like you guys ever heard of Burpee or a certain type of pull-ups very fast pace. I've done it. I've done crossfade exercises before and they're like circuits as drains your energy it's so much but it's so good for you. I mean it's if you do it right and you don't injure yourself but if you if you do it the fast pace intense workout like that. I found them be very beneficial but anyways the reason I say all that is that's what crossfade is it's like a very high functioning quick type workout. They have these things called The Cross Fit games and the Krasik games are actually something that's growing and something that's gaining a lot of popularity without. There's a lot of people that will watch these events almost like people watch football games watch them on the TV or go to the events. There's like thousands of people that go to these events and there is this documentary called what's called the fittest on earth or something like that. And there was one that was a couple of years ago and there was a new one now it's called like redeemed or something like that dominant. The dominant and the redeemed fittest on Earth was like part II. And I've seen a couple weeks ago and I told Victor about and he wanted to see. We watched it and there was something so fascinating about the mindset of the people in there because there were there were a couple of different mindsets I want to talk about. And in this episode what you're going to learn is kind of the mindsets that it takes to become like the best at what you do not the best. Like in an egotistical way like I'm better than everyone else but more so in a way that you just you see yourself as the best version of you. Like you have the self-image of a winner. Because in this documentary there is this girl that is from Australia and it kind of follows these different people that are some of the top cross fighters which mean to be across it. I mean you've got to do all these different exercises it's not like to be the fittest on earth in this documentary. It's not like you just a couple different core exercises you do. And if you're the best at those you win. It's like you have to there's like 12 or 15 different events and you have to like the place at all of them and it's like whoever has the most points at the end wins. And it's very interesting because you have to be all around like very fit and very good at what you do. And there was this one girl who last year or the last I don't know his last year is actually so back up as the first documentary fittest on earth kind of documents her evolution and kind of how she's gone through the process from like maybe three or four years ago. But basically, there is this one girl her name is Tia but I forgot her last name. She's from Australia. And it is fascinating to watch because a couple of years ago when she was being interviewed or she was being followed around for this documentary you could tell that she just didn't believe in herself like someone to come out for an autograph and she'd be like oh you're probably going to burn that photo when you're done with it or somebody would like me wanting to picture with her and she'd like I don't know I want a picture with me or she's like one of the best. Like she's is so fit and she's places that like almost every event. But she just didn't see herself as one of the best and it was interesting to see because I remember watching the first one a couple of weeks ago and was like wow she just kind of has the mindset that she's not Worthy's she's not good that can't play out well like there's no there's no winner that's like armed. I don't I don't view myself as a winner. It was hard for her to even say that like she kept stuttering. I'm like man that's kind of symbolic that there must. There may be some kind of disconnect or maybe she just doesn't see yourself like that because even her to say that she had to say that for like the camera it was like behind the scenes of showing what she had to say for the camera for like ESPN. She had a say like I'm one of the fittest women on earth or something but she kept stuttering even though she speaks English and it's her primary language and she's kind of joking around about it she's like all these other people a lot of people that are like English as a second language and they're probably not stuttering as bad as me but it is interesting the mindset that she had a couple of years ago. And she a couple of years ago she like should have won the crossfade games like there's like 17 different events and she should have won. But what happened is right when there was the last event it came down to the very last event she was doing like this type of lunge thing and she got right to the end to the last step. But then like missteps and she had to redo that step and as she redid it somebody else pasture and won the first place and she won second place and it was a very devastating imagine almost winning something to being the fittest woman or man on earth. And then all of a sudden you lose it because it's something like that. Obviously, there was something in the mindset that was she won by like steps but she had to redo the last step because it was like you could tell she went into her head and so she lost she won second place on the first documentary. You know that was like four or five years ago three or four years ago whenever it was and you could just see herself talk to see the mindset that we had she had and then this year or this new one called redeemed and the dominant in the redeemed or whatever it is it's like the part to her mind Steph started you can see it's shifted. She started to see yourself more as worthy. You can tell by the things that she was saying that she didn't viewers self as much as like somebody that wasn't worthy. She started to see herself more as a winner. And even though she didn't completely maybe she wasn't like know completely cocky or anything like that she definitely you could tell that something within her started to shift. And in this one she like dominates through the most of the whole thing until the Vajda into the final two exercises and in the final two exercises that are like these different obstacle courses and stuff she's going through them. And it was like the same exact thing. It came down to the wire because there was someone else like she dominated every single thing but it still came down to the wire. And it was between her and another Australian girl that was that was doing the last event. And it was like the same exact thing the last step she messed up and she had to go back and you could just see it in her mind and you can just kind of see how she's thinking about it and it's so weird that it was like the exact same thing but she goes back, and she does it and she pretty much thought she lost again. She thought she got second place again. It was like a reiteration of the time before but not to ruin it or anything. She ends up winning. And she got it. It was her mindset she had to think about herself differently. She was honestly like hands down. Everyone thought she had it in the bag way before the competition even ended but she started to kind of work against herself. It's very interesting. While I'm watching this and there's another guy I think his name is Matthew Frazier he's like the guy is like the guy version. That is the strongest man in the world he wins like almost every year and he just dominated everything and it was interesting because Victor and I were sitting there talking and the mindset is so different from some of the people that are like numbers three four and five. They're like, “Oh I get fifth place.” That's really cool. And it's like ok with a second or third place but the winners like when you look at the guy this guy I think is Matt. His name is Matthew Frazier I knows for sure his last name is Frazier but he like you is Matt if he got a second place like he was he saw himself so much as a first place or that he couldn't even imagine himself getting a second or third place is very interesting because he dominated everything. But what I noticed is I was talking to Victor about this because I looked over I was like you notice how all the people that are third fourth fifth place are totally ok with it but the people that are the first place that are normally always first base and expect to be first place they like they can't even imagine themselves in second or third place. Are we playing to win or are we playing not to lose. It was just a very different perspective which got me to think are we in life playing to win or are we playing not to lose. This is a very interesting idea because we may even see this in many different areas of our life if you look at people that just naturally view themselves as winners. Things happen a lot of times more in their favor because that's the way they see themselves. They see themselves as winners. They see themselves as the way they preferred to be and because they see themselves that way it's almost like they project that reality out and then that becomes who they are. It's interesting because it's more about the way we see ourselves and just how are we approaching life in general. That was one thing I noticed I found very interesting. Now, this doesn't mean like we have to be better than everyone else. Compare ourselves but at a certain level we have to become the best versions of ourselves and we have to know that we are the best versions we can be and we have to see ourselves as winners in life in general. Like I consider myself a lucky person. I just say to myself a lot. I mean repetitiously I'm a lucky person. Things are always working out for me and that becomes my reality the more that I say and the more that I think it and I do I view myself as a winner in life. That's how I view myself. Doesn't mean I'm better than anyone. It just means that that's the mindset of the way I go about it and I find that it works for me. There are different stories and different narratives that run us, and there's different. I was reading about this recently somebody was talking about how there are three main archetypes. There's the there's the victim there's the hero and there is the villain there's the like the three main archetypes that people identify with. And I personally would prefer to be the hero over the other two. Because if you're a villain then you're kind of the bad guy. Some people thrive on being the villain. And then you get the victim which of course is where a lot of people are because they're not aware that they create their own reality or that they can use their thoughts to influence what they experience. But what I find very interesting is how powerful the story the narrative we tell ourselves influences our life experience. The way that I view myself is I view myself as somebody that is a winner. I view myself as someone that's lucky. I view myself as somebody that I still work hard. I know some people don't like it when I say that but I do put in a lot of effort to what I do and because of that I get a lot out of life and it's the way that I view the process. It's my beliefs it's my story that I tell myself. But that was one thing I noticed from this documentary is the top best people viewed themselves as a winner. And it was funny because the girl that there was a girl that won two years in a row before this and her name was Catherine. I believe Katie Ryann and she was from Iceland and she won two years in a row. She was the one that that girl lost to very closely like a year or two ago and she won like the fourth or fifth place but she was so mad at her. And I'm not saying it's good to beat yourself up but you can just see in her mind she was just confused because she's like she said at the end of a documentary 2 She's like it's just so hard for me to see because I know I'm the winner. Like I know I'm a winner and I know I could have won and I didn't. It's kind of just the reason I'm bringing this up is that like what's your self-image it's like how do you see yourself. Do you love yourself as a winner? Are you the best version that you can be? And if not how can you start to see yourself in a new way. I start to see myself and I've been seeing myself as just one of the best at what I do. That's how I view myself and I'm not a cocky bag I'm better than everyone else that's in my niece or anything like that. It's just I view myself as that. And because of that, I believe I'm easier it's easier for me to embody that version of me. And for me to just kind of be myself knowing that's like the master role that I prefer to see myself in. It was kind of a different idea but that was what I noticed as the fourth and fifth people. They were very OK they were kind of just happy they placed but the people that were playing to win won. Whatever you focus on it becomes your reality in the second to the last step that Tia was taken where she messed up. She wasn't thinking of winning. She was thinking of not losing. She was thinking of I hope I don't misstep like I did last year and therefore she did it again. And there was somebody that you only get two tries for this certain event and people. Someone said one of the girls was like you don't want to look at other people because if you see someone feel it then make it can influence. You almost have to just focus on you and just look at the bar and it just there's so many correlations I see with this and then life experience, in general, is like where ever you focus you go if you focus on not if you focus on not failing. It's still the focus is on failure. But if you focus on winning it's more likely that you can actually win. That was something that I've noticed also in other people like if you get a guy, for example, that's like nervous to talk to girls. Right. And it's like hey go push yourself and go talk to that girl that you're attracted to go up to her and talk. If a guy goes up to a girl and he's thinking himself. I hope you don't reject me. I hope I'm worthy. I hope you don't say anything mean or you don't like you know kind of reject me and it will dampen my self-worth that frame that you go forward with is going to emanate to girl and then she's going to look and she's going to be like she's going to kind of feel that and just bounce back off of that and be like oh she's going to kind of feel that your plane did not lose it. Oh, that's so cute. He's coming up here. It's going to be that kind of mentality. But if you play to win if you play you're like you know I'm attracted to this person I'm going to go talk to this person and see if we have that connection. It's a different type of energy. It's about holding the frame and knowing that you're worthy and playing to win and not playing to not lose. You don't want to play to not lose because whatever you focus on is where the energy goes. And that's something that I've been practicing in my own life is how can I become and be the best version of me. How can I focus on what I want and know that as long as I do that I'm going to be embodying the best version of me? Now here's something else I want to talk about as well that is understanding what we call in the Law of Attraction we could call it the difference between competition. Normally we think of competition a of which I actually can't everyone if everyone uses the Law of Attraction will everyone can win. So, who wins in that case. Well, what has this has to do with his understanding of the self-image. There are different variables that come into play a level of allowance how attached to the outcome are you going to people that are everyone's focused on. I mean not everyone but a lot of people are focused on winning but some people are actually focused on not losing. But the key is how much is someone allowing the true version of them to flow through. How much is someone attached to the outcome because then that creates resistance? There are different variables that come into play. But let me share with you is something that completely changed my life. When it comes to competition the Law of Attraction. I used to work at a place called Barney's. No this is actually before I used to work at Barneys New York. Before that, I worked at this place at Nordstrom's it was Nordstrom's I worked in woman's shoes. I sold women's shoes there for about four or five years and while there I learned about the Law of Attraction. Dr. Wayne Dyer book is like the power of intention. I watched one of his seminars and I got motivated and I read this book that was called the Science of Getting Rich by Walter de Waddle's and this book is a short book but it kind of shows the science of getting rich you know some of the concepts in there that I still apply today. And one of them was understanding about how to use thoughts how to use emotions. One of them is understanding how there is this creative mind and the competitive mind. Now I worked in a sales commission job which means I went in every day and I got paid based on the amount of soul I got paid 10 percent commission so if I sold you know three thousand dollars’ worth of shoes which is like an average day I mean 300 bucks not bad. And I would be OK with that day. You know and would go in. But I was also in a way I had my friends were co-workers there but they would also be wanting to sell you know they had their own goals as well and you know kind of in a way you're competing because then you've got customers coming in. You want to take on the customer you want them to pick you to help or you know kind of like you going up to them the customer kind of pick who they want. But this is what made a big change. I used to have kind of a competitive mind, “Oh I hope I get that customer because the more customers I get the more I can make I changed from this competitive mind to something called the creative mind.” Now the creative mind is knowing that there's an infinite amount of abundance and all we have to do is align with it. There's an infinite amount of abundance that exists. It's just that when we believe in competition, we believe that we have to compete. We create more of needing to compete. We create more of this scarcity mindset. It's like oh there's only a certain number of customers coming in if this guy gets it then that's going to take away from me. But the key is understanding that there's enough to go around. At the immediately from switching from the competitive mindset to the creative mindset I started to more so embody the characteristics that I prefer. I started to more so in body and know that I could allow things to happen. Resistance went away and I started to actually make more money. I started to sell more. My energy kind of opened up and it was like I let go of a scarcity mindset. A lot of a lot of competitors as well. We're constantly shifting through different parallel realities there's an infinite number of parallel realities that exist with a whole bunch of different versions of us and we're constantly shifting through these parallel realities with every second what we think of as time is the movement through these different parallel realities and they all exist right now because the only moment that does exist at this moment right now. The power in this is knowing that because this is the only moment that exists in an infinite number that does exist in a parallel reality we could focus on resonating with the reality that we want. Because of that, there is a version of us that is always a winner. There's a version of us as is losing. There's a version of us that's from a fourth or fifth place right in between. The key is to focus on us knowing that we can resonate with that reality because there are also be versions of that reality where other people. Let them do their thing you just shift to the reality where you want to be. What this does is this take out the will I get the scarcity mindset and it puts it more so in the frame of there's an infinite number of parallel realities that exist and I'm going to choose the one where I win by seeing myself as that version of me and body and the thoughts the emotions the actions as that version of me knowing that as I do that I'm going to experience more of what I want. This is kind of a new take on it. I wasn't really going to mention that but that's a different idea that I think really makes it easier and sometimes people as to they're like well these parallel realities. What about the version of me that snootiness where did that go. They all exist right now we don't need to be worried about what other versions of reality. This and that they all exist now. We're just shifting our perspective through different ones so it's not like they died although there are versions where we aren't alive right now there's that number that exists. But the key is to shift out of this competitive mindset because in the competitive mindset we create more competition we create more resistance and therefore we create the reality where someone else can win a lot of times people that are in second and third place aren't focused on themselves they're focused on the first-place person. How far away they are. Therefore, almost like adding to the energy of that person winning almost adding to that reality. The key to this is knowing that you can see yourself as a winner and that by you seeing yourself as a winner that will become more of your reality. You can change your self-image and you can understand the psychology of someone that's master like a master manifest or somebody that's a man or master manifests or creates their own reality or chooses it. However whatever perspective we're coming from. But they focus on the best versions of themselves. They focus on them becoming and resonate with the reality they prefer. They don't have to be attached to the outcome because they are naturally whole and complete already they can be the version of themselves that they prefer to be without needing the approval of other people. And the key to this is knowing the version of you that exists a powerful way to connect to this version of you is to imagine the best version of you that exists. How would you be acting? How would you be thinking what emotions would you be feeling and start to embody the best version of you? Now, this isn't about faking it till you make it. This is about letting go of what doesn't serve and being who you naturally are. And if being a winner doesn't feel natural it may just be a repetition of the Old Mint victim's story that maybe you're telling yourself maybe you're in the unconscious autopilot mind and it's like oh this doesn't feel familiar it's not that that's not you. What I encourage you to do is to get more into a competitive mindset , get into a creative mindset know that there is enough to go around. Know that there's an infinite amount of abundance doesn’t shortchange the universe and thinking that it can only provide so much. Know that as long as you focus on you as long as you focus on being the best version of you you'll know that you can then shift to more and more that reality, see yourself and give yourself the self-talk that talks you up. I'm lucky. Things are always happening to me. I'm always in the right place at the right time. I am the best version of me. I am putting in and living my life's purpose these affirmations said with repetition. Create a powerful reality and you're able to then go beyond that of the limitations of the blocks of the autopilot mind that's just kind of comfortable or just familiar. And the more you do that the more you start to embody the true essence of who you are. You start to embody who you are really meant to be and you can take yourself out of the story may be of being the victim or the villain and you could start to become the hero of your own movie be the hero of your own movie. Not the cameo in the movie anyone else's. If you're finding yourself and you are focused on what everyone else is doing then it's just the autopilot mind. It's the familiar mind wondering what is everyone else thinking. You can start to buy more into yourself you can know you are holding. You can know that there's enough to go around this creative mindset that's something that's really you know even on YouTube right. It's like oh there's people out there that you may assume there's a lot of people that make a law of attraction videos. Is there really competition in my niche? Not really because if I collaborate with them it's a win-win. It's not like people on YouTube can only be subscribed for well Law of Attraction people. Somebody else that like is you know taking or you know doing the same thing is all they've taken away my business. No there's only that of creating and collaborating. There are so many people out there we don't need to be thinking of the competition. We don't need to be thinking like that. If you have an idea and you want to put it online there's billions of people out there don't think that it's congested if you have a unique spin if you have a unique perspective and you're willing to put in the effort and really to really resonate with the vibration of the reality you want. You stand out. This is about understanding who you are and opening up these limitations we put in our mind opening up and knowing there's so much more out there. We don't have to have the scarcity mindset we can buy more into a reality where we collaborate with each other. We're in this creative mindset we can shift to the parallel reality where we are the winner because we are the best version of us we can know that we can. Instead of playing to not lose we can play to win and by playing to win we start to become a winner. See yourself as a winner become aware of your self-image and then everything in your life will change. That was a powerful packed voice of me talking passionately about this I hope you guys got value out of it. I'm going to be sharing with you three Reality Transurfing techniques that work like magic. These are some of the most powerful techniques that I've applied in my own life. I'm going to share with you how I've applied it and how it changes everything. 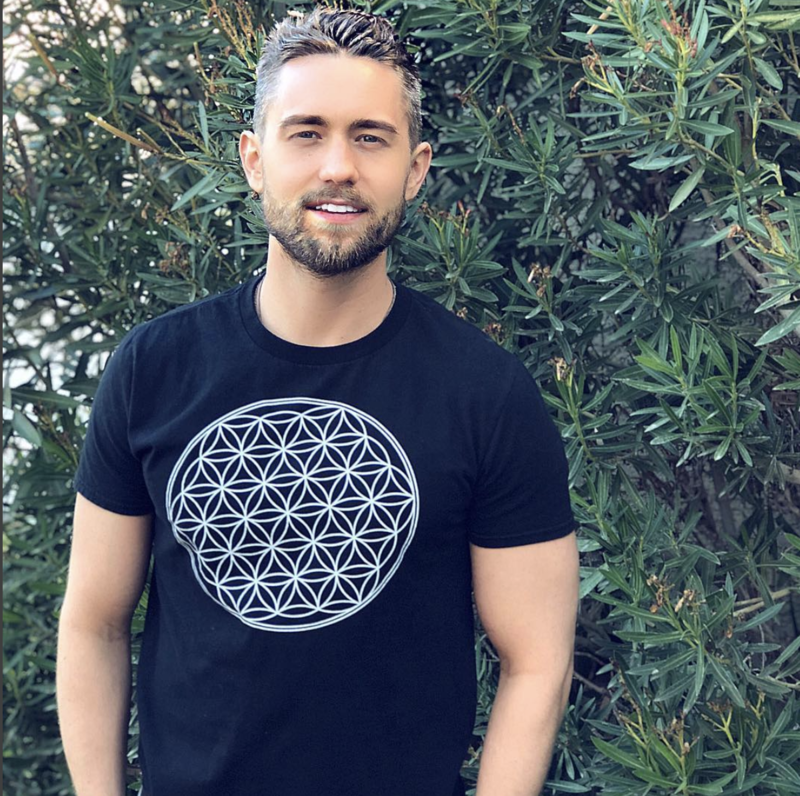 The three Reality Transurfing techniques that can totally change your life and they were definitely game changers for me and the way that I see the world and in the way that I go about manifesting what I want. Let me first off say that Reality Transurfing, and if you haven't heard me talk about it before, it's one of the most powerful manifestation processes I've ever found. Even beyond that of just a manifestation process. It's a philosophy. It's a way of seeing the world. It was written by a quantum physicist in Russia. It's now being translated into a whole bunch of different languages. It has been translated, but now it's getting a lot more headway in the community. More so than just the Law of Attraction, it's more of a philosophy, a way for seeing the world that changes everything. It explains and it combines the eastern philosophy of letting go with that of the law of attraction. It combines understanding of social conditioning and the new way how to connect to our hearts and then powerful techniques for going about manifesting what we want. Now, the idea behind Reality Transurfing has more so to do with parallel reality manifestation than it does the traditional. I'm going to attract this into my life because many times with the old school way of thinking, we say, I'm going to attract that over there into my life now, which reinforces in the present moment that what we want doesn't already exist and the key is understanding that we don't have to create our own reality. That's the old Elo way law of attraction. We have thought now if we had to create our own reality, we are implying that that reality that we're trying to create doesn't already exist. But what quantum physics and parallel realities shows us is that there's an infinite number of parallel realities that exist now, even as I go like this right now. The idea is that each individual frame is a separate parallel reality. This is a parallel reality that may look very similar, but just like there may be very similar frames that we stretch out of a projector, we may say, oh, this is very similar to this one, but the minute difference makes it a separate frame. And even if it did look like the exact same frame, they'd still be different frames. It's the same way with parallel realities. The key to creating what we want is realizing we don't have to create it. Now, any parallel reality you can imagine already exists right now in the present moment is simply vibrating at a different frequency. And the key then to us creating what we want is realizing we don't have to create it. It already exists. What Reality Transurfing shows us how to do is to glide through that process as in a very easy way versus us having to create it and us having to resist it, us making our goals very important, put them on a pedestal and creating resistance around it. This is more about gliding through the process. That's what Reality Transurfing is in a nutshell, and there are three main manifestation techniques that I've applied in my life that have totally changed my life and some of them I think you'll find if you start to apply them, your life will change in a very quick way. The first one actually is called outer intention. Now there are two types of intention when it comes to Reality Transurfing, there is inner intention and outer intention. The inner intention is having a goal that we want to accomplish. It's the different steps in between the goal. Think of it like you may have a goal that you want to bake a cake. This is the analogy I used the other day and you want to bake a cake, so you have to go. You have to get the ingredients, you have to go and you have to do some stuff with the ingredients to put it in the oven. All of these steps in between would be considered inner intention. It would be the desire you have to accomplish it. It'd be the process of accomplishing it. Now, outer intention is the realization that even though there's this process right here of achieving and making that cake, outer intention is realizing that the cake already exists in the alternative space, it's almost like you could skip all of those different steps and maybe if you were to really allow this process to happen. You would find that you create a greater gap in between the different steps and maybe you're out and somebody just offers you a cake, maybe that you're somewhere and somehow you attract a cake to you and a completely new type of vibration and resonance. The idea is to have a vision of the outcome of what you want to experience and as you have that outcome, to simply match your feeling to it and then trust the process. Let go of how things happen. I read a quote the other day from Jim Carey and I really resonated with it. He said manifestation or creating what you want in your life is really about having a clear outcome of what you want to experience, having an intention and then letting go of how that happens and how that comes to you. And the same way when we focus on the vibration of us having the cake versus actually having the cake, how we feel about it, we'll find that more and more circumstances come into our lives that reflect that back to us and let me share something with you. This is like magic when you apply it. Now, one of the reasons I think that my brand has grown so much that what I do just continues to really flow in a very easy way is because I tap into what is called outer intention because it's outer attention of myself, right? Like in a way, of course, there isn't a desire to grow as a person to progress a person for me to grow my brand and all of this. However, the other side of what I do that I think makes it a little bit different as I have a genuine intention of adding as much value as I can to the people that watched me so because I'm tapping into other people's intention, that's outer intention to me because it's not my intention. My intention is to help other people, but it's the other people's intention that has the intention of them helping and also progressing their own self. Right? I'm tapping into people's intention for them to better themselves. Therefore, I'm tapping into outer intention. That energy comes back to me in a very powerful way. It's almost like the universe wants to manifest through me because I'm going to do very powerful things with that energy. You see how it's kind of a different mentality, but this is why when you add value to other people and you have that intention, it comes back to you so quickly because it's almost like the universe wants to manifest through you. It knows, hey, if we, if we continue to flow this energy, it's going to help all of those involved. This is something that I've done is I've tapped into outer intention by having this intention to help as many people as possible with what I do, knowing that as long as that's my pure intention, what ends up happening is that comes back to me in a very powerful way. Now, something else I recently did is I had this mentality that imagines we normally just think about it from our point of view and we want to manifest something. We think about it from, I want to attract this into my life. Here's something very powerful that can totally change your life instead of just seeing it from that point of view. See it also from the point of view that somebody else wants to manifest you in the same way you want to manifest a relationship. Somebody wants to manifest you into their life and the same way that you may almost think of everything as if it has consciousness. This is what I do to tap into the vibrational resonance. Let me explain when it comes to money, for example, now with Reality Transurfing, and you don't want to make money, the goal, because money is a side effect of you doing what you love and it's more about connecting to the heart, but say you had a belief that money is bad. Well, you can't actually resonate with the vibration of money because you have a belief that negates that actual vibrational resonance, so instead see everything in your life as some form of consciousness and you can then see how you have to relate to it in a way that is in vibrational residence. For example, the key is to almost view it as much as you want the money. The money wants you. I did this recently because you see me in this house. I'm going to make a whole video about it. I don't know when this video is going to go out. Maybe you've already seen the video that I'm going to be posting about it, but the new house that I move into and about four days is a house that I attracted purely using Reality Transurfing. I'm going to make a whole video about it, but basically one of the things I did because there was competition to get into this house. It's a beautiful house. You'll see what I mean. I'll do a house tour of it and it's a house that there were four or five applications. I'm just renting. There were four or five applications on it and I had to in a way stand out. I used Reality Transurfing to do that and I'll share with you in a separate video exactly what I did, but a general gist is I imagined that the house had a consciousness and it wanted me to live there. I imagined all the things that I could do in that house to add value to other people. All the videos I could fill, all the value that I could add to other people in this house with all of this space and that ended up flowing through me. I imagined myself meditating in different rooms in that house because there are four bedrooms. I imagine having an actual meditation room and I imagined that the house wanted me to live there. As weird as this sounds, these works view everything in the form of vibrational resonance, and what I did is I imagined that the house wanted me to live there. I imagine that the people that live there, landowners, the people that owned the House wanted me to live there because I'm clean or the different parts that I ran through my mind, so this is of itself, outer intention was one of the most powerful things that I have experienced in my life in the bulk Reality Transurfing. And they say that outer intention is what any type of magic, any type of miracles happens because of outer intention. Outer attention really has to do with letting go because the inner intention is about the ego, about accomplishment, but you have to let go. To then allow there to be a greater space in between where we are to where we want to be, to not have the cake, to have the cake, and if we let go, we trust the process and we vibrate with that resonance. We find that things happen in a very powerful way. Now, the second technique I want to share with you is a technique that you use in communication. It is called Frialing. In general, the idea behind this technique is tapping into other people's inner intention. Now, as I say, I'll make this every video on the house, but I also tapped into the intention of the landowners because the landlords knew that what they wanted was they wanted me or whoever moved in there to take really good care of the house. I could tell you know how I knew that because I could tell because one of the things they asked for was 15 photos of the current house I live in. I had to go around my house. I had to take photos of everything. But basically, I tapped into their inner intention of them wanting someone that very clean to live in the house. This is another perspective now. Let me show you an example of how I used to use this now think it in terms of how other people think. And it's kind of like where we also focused on adding value to other people. But this is a powerful technique for communication. I imagine you have a job and you want to get time off. Now. This actually is an actual story from a job I used to have before I was a fulltime YouTuber at this last year, that everything's moved very fast, but I used to have a job. I worked at Barneys, New York selling woman's shoes, high-end retail stores. The average price of shoes is like 1200 bucks. And I worked there and I used to have a manager. His name was Neil and he kind of had like this little, he's a great guy, but he had this power tripping type mentality. It's almost like you could if you needed something, he had to make the one decision that you could do it. You couldn't implant the idea and assume that he would do it. You had to almost give him full reign for him to decide on it. This is what happened. If I would go to him and I would say, Hey Neil, I need the third and fourth, I need the third week off of July for some vacation thing that I'm doing. He'd be like, well, I don't know if you can have them, you know, that third week of July off because there's this, this and this going on, like makeup marinade kind of something be going on. Wouldn't be that big of a deal. It'd be like some little event that doesn't make a difference. I'd have to like almost fight for it. Right? So, instead what I would do is I'm very good with people and I know how to talk to people and I know how to say this is before I even knew Reality Transurfing by the way, but I look back at it and I was totally using this technique without even knowing it because I didn't use, I didn't learn Reality Transurfing until about eight months ago when I just dove in and learned as much as I can now. I read the book every night. What happened though is I knew how he thinks and how you. I used to have a stepmom that was kind of like a sociopath. I had to learn how to deal with her so I know how to deal with people that also have that power trip mentality. That's the power of frialing. The giveaway that which you want to get. If it's a certain emotion. If you're in a relationship and you say, okay, I want more love in my life, give it away. Love more, give more compassionate and watch it come back to you. Give it away because the giving is the same vibration as the receiving. That is where the power really is, so this has also been a very powerful technique that I've applied in my life. The third technique is that of what is called a reality amalgam. Now, like I would say that Reality Amalgam, a reality, Amalgam in the Venetian times, what the Venetians would do, however, you say it, but they would do, is they would have these big Venetian mirrors. They would put a hint of gold in the mirror so that when you looked in these mirrors, you go, Whoa, I'm way more attractive. You've got this gold hue about you, this soft kind of look in your skin and you look very healthy. That is called an amalgam. It's kind of an amalgam that's overlaid into the mere. The gold hint is in the mirror, so in the same way a reality, amalgam is a metaphor, but nonetheless a reality. 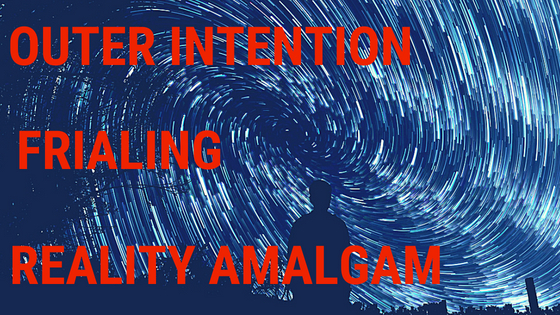 Amalgam is an overlaying belief that you tell yourself repetitively. It's a very general belief though, so let me share with you some of the reality amalgams in my own life. Everything works out for me. I'm in the right place at the right time. I have a contagious personality where people are just attracted to me. These are reality amalgams. They're very general beliefs that it's almost hard to have some type of resistance towards. If we take that further, we can develop resistance towards it. We could say everything happens at the right time when I'm in this place doing exactly this. Well, it's okay. That's a very specific thing. It's more about letting go and having it be more general. In general, though, with the Reality of Amalgam, what you do is you repetitiously say this phrase over and over again, and it's a belief that being to affect every other area of your life, so what I do is I just know that I'm always in the right place at the right time. Now, this translates in many different ways because I say this to myself a lot, so what I'd do is I'm in traffic and guess what? I emerged into the next lane. I'm in the right place at the right time and it's like, just happens fluidly. Then I go through a Green Line, I keep hitting the green lights, and I keep reaffirming to myself I'm always in the right place at the right time. Then something will happen. Somebody will open the door for me when I go to the gym. Guess what? I'm in the right place at the right time. I say this to myself over and over and over again, and then it keeps on bringing more and more evidence of it, so it's a general belief that as we say, continues to bring in more and more into our life, so maybe this is something you can see as well in your own life, that this is something that you can begin to apply that as you do so this with repetition especially can begin to transform your life, but find a very general belief. Something that you almost can't have that much resistance towards. Things happened to me at the right place, at the right time. You can use it to people or just magnetic to me, I have a contagious personality where it just rubs off on other people and people you know, feel that energy. It can be almost around anything and as you begin to use that repetitiously, you'll see that more and more and more evidence of that you will get. Now, something else that I'm currently offering is I have something called the Reality Transurfing. This academy is a month to month coaching program where you get private videos from me, premium videos that you don't get on Youtube. These are specifically for the program that shows you step by step exactly how to apply this whole process of Reality Transurfing and these are only three of many different types of techniques and I show exactly step by step how to go through the process so that you create from a much easier place. This is for people that don't want to reaffirm in the present moment. They don't have what they want. They desire it so much. This is about gliding through the space of variations, gliding through the parallel realities and creating in a completely new way so that you feel empowered knowing that what you want already exists. So, you'll also get a mastermind community that helps this process. You'll get live Q and Q's with me every two weeks, be able to ask me questions. You'll get a whole bunch of bonus meditations that you don't see on YouTube and you get more of me. This is how I coach and this is something that for a very short period of time I'm doing at a dollar trial. You can try it for seven days for only a dollar, so if you want to try it, there's going to be Lincoln and top of the description box. This is something that I don't do very often at all, but if you want to try it out for only a dollar, you'll see the link below and you can see what it's all about. It's the most part. Use testimonials as well from a least 10, 15 people that I have on the actual page showing you exactly what you can expect. Check it out and if you resonate with you, go ahead and join it for a dollar trial for seven days and if so you can keep with it and if not, it's all good. Today, I'm going to be sharing with you the truth about your dreams and understanding exactly what you are really doing when you go to bed at night. I'm going to be sharing with you what I think is happening when we go to bed at night. I'm going to share with you a new perspective that I've never really shared on the channel before. Maybe a little bit. I've talked a little bit in recent videos about the possibility that we live in a simulated reality and the same way that we may put on a (VR) virtual reality helmet and look out and actually think that we are there at the very early stages of VR that we are right now. It's highly possible that in 10, 15 years we won't know the difference between what is real and when we put on a VR set. If that is real? Because of that, what is to say that at a higher level of consciousness, we haven't already done that in. This kind of goes into what I'll be talking about when it comes to dreams, but I think honestly this is a very enlightening idea. It's something that makes me feel good knowing that we are so much more than we can priorly imagine knowing that our dreams are not just some little side effect of our subconscious mind, which that could be one aspect of it. However, I think there's so much more that's actually happening and I'm going to share with you a little bit about what I think that is. Now. First off, let me say that I believe that it is possible that we live in a simulated reality. Now, this is something Elan Musk actually said. Elon Musk quoted and said that he believes that the chances that this reality that we experience, the chances that this is the baseline reality, meaning the true reality. But then I did some research on it and I looked up different perspectives to this and I realized, well, what actually I realized when I actually tried a VR system for myself, and I've shared this story a couple of times. Basically, my cousin came over. I was at my dad's house and we were having like a family event. He brought over his PS3. We put on this VR headset and you look around and you're actually believing that you're there because as you look, you're fueled of perception goes with you. There are sounds. Uh, I was in an underwater cage thing and I was looking around at fish that were swimming by. And then a shark came by and a shark bit out. This case that I was sinking down in and I actually thought the shark was going to get me. Even though I knew it was a game, it still spikes the cortisol. Then I looked over the edge after he busted this thing out of the cage and I was looking over the ledge up real far down into the abyss and it was something that felt very real and I realized at that moment that if I'm already feeling this way and we're at the first very, very, very beginning on stages of virtual reality, imagine the potential. When Elon Musk said that, I said, yeah, what if at a higher-level dimension of consciousness, we have decided to log in to the game of life to have certain experiences. Now, here's what I believe is happening in our dream state. When we go to bed at night when we say I'm going to go sleep, what we are actually doing is we are sleeping is “Avatar”. We used to play this game and we're waking up at a higher level of consciousness. Many times, what we do is what I believe. I'm doing a dream state as I'm actually doing things in higher dimensions and I believe you're doing the same thing. Not that I'm special. I'm just aware of it and there are times I remember some of these things. Here's the thing, the higher dimensional realm of consciousness may be outside of what our brain can interpret because our brain can only get information to us that it has context for. If we are actually doing things that are far beyond what our brain can even imagine, then what'll happen is there's this buffer where the brain will give us symbols as to how certain things happen so that we can digest the information. What this means is that at a higher level of consciousness, when we go to bed at night, we are most likely waking up to these higher levels of consciousness. And then in a way when we wake up here, we are coming back to this level of awareness. We may from a certain perspective, be going to sleep in that reality to wake up here so when actuality. This is about as far as we get from the true reality of who we are, but I think that's very exciting because I believe in the higher dimensional realm of consciousness. The vibration that we normally feel is unconditional love when we come down into what we call the third dimension, which is this life experience, and we forget who we are because there's something called the veil of forgetfulness. Imagine if you were playing a video game and you knew that you were playing a video game. Would you take it as seriously? You may not, but imagine you're playing a video game and you actually think that it's real. You actually can't tell the difference between whether it's real or not. How much more seriously would you take that game? How much more would there be to learn, and that's kind of the idea of why we chose to be here. We chose to be here because one of the things that this makes this place so hard is we forget who we are and then our life experiences are that which we are remembering who we are. We are letting go of who we are, not we're letting go of labels, the identity of who we are, not some personal experience, bad programming, social conditioning, and as we let that go, we become more of that natural state of who we really are. We start to merge more with our “higher self”, that higher realm of dimensional existence. We are merging with that. I think that's something that's happening right now and some people are experiencing it more than others. It's not a race, but it is something to where the depending on what you are to the vibration of you will experience, but what I believe is happening is that at the fundamental reality of who we really are, we are immortal. Spiritual beings live in temporary human experiences that in higher levels of consciousness, we can instantly manifest what we want because there's no time and space. There are time and space. In the third dimension, there's a time-space, a linear experience that we have here, but in higher realms, things happen instantaneously. I think that unconditional love is our natural state of being, that we feel connected to every single person with the awareness that that person, that other soul is another version of us, so we don't create as much resistance. I think that as that higher level dimensional realm of consciousness in that realm, that's who we naturally are, but then out of bravery, we choose to come here because this is one of the most challenging places to be because we forget who we are when we come here because we go and we descend into a level of consciousness where we forget who we are and we can always remember and that's a lot of times why we experience either the pressure of pain in life. Sometimes that causes a spiritual awakening in this spiritual awakening and then we become more aware of the higher realm consciousness. We, we become more connected to it. We feel more connected to it. We're always connected to it. We feel more connected to it, and then what we do is we begin to embody more of that. So, at the fundamental level, what I believe we do when we go to bed at night is we wake up at a higher level of consciousness and that the symbols that we get in our life of what we did in that higher level of consciousness could be the dreams. Notice that a lot of times dreams are nothing more than symbols or metaphors for things we can currently be learning in our life. Or maybe we look at our dreams are we're like, there's no way that means anything, but understand that even the logical mind doesn't understand it at a certain level. There's something that may have sunk in theirs even if we don't remember our dreams. Does it mean we didn't learn anything? It just means we didn't remember our dreams. But the reason I'm saying all of this is because I want you to know that I believe you are any moral, spiritual beings living a temporary human experience, that you have forgotten who you are at a certain level to incarnate into this system. And that one of the purposes of life is to remember that we logged onto this game of life, but that we are not the Avatar that we identify with. It is just one aspect of us, but at a higher level, dimensional, at a higher level, dimensional part of consciousness who we really are is unconditional love. It's bliss. It's a connection to everyone else is his ability to create what we want instantly, but we decided. We said I want to experience a new type of version of myself. I want to experience something where I can learn a lot of lessons because things happen so fast up here that I want to experience a time, space, reality. I want to experience things where when I manifest something, it's not like it instantly happens. I have to think about it. I have to vibrate with it. I have to learn how to act as if it is already true. I have to really take action as it soaks in the experience rather than just instantaneously be there. Imagine the higher dimensions. There's no journey. It's all just the end result, the end results like, oh, I want to enjoy this more. I want to more so sink into this feeling and that's why we may come to this realm of consciousness now from a larger dream of consciousness. Let's go down the rabbit hole a little bit deeper from a larger dream of consciousness. I believe that there is an intention of the reality itself and I believe that one of the intentions of the reality that we live in right now is that there is a sort of “mass awakening happening”. You may look around and you may say, it doesn't look like that await. Mass awakening is happening, buddy, but it's happening at a certain level and it's trickling out. It's causing a ripple effect. There are millions of people that are waking up to who they are and we would call this a spiritual awakening, but they're waking up and they're not identifying with the ego perspectives of separation as much as they used to. This is a progressive thing, but it's the main reason. I believe there are 7 billion people here right now on the planet. I believe they are. That's the reason some so many people want to be here right now because I believe there is a sort of evolution that's happening on the planet and evolution of consciousness, of remembrance, of re, members of who we really are. Reconnecting ourselves to who we really are and remembering this because it's who we really are and just as hard as the gay may be for us to go to sleep at night and I think we're just seeing these subconscious type symbols as hard as it is for us to also come here and for us to experience the pain that has to go with being alive here and the slowness of how things manifest. There's something about the process of raising our vibration back up and us collectively doing it because just like we are creating our own reality from our thoughts, we collectively are creating the momentum of what reality we experienced because all of our thoughts team together to create a collective consciousness. Now, part of the dream, the simulation that we live in is that it's getting an upgrade right now. We are upgrading the reality that we live in and it starts from with all of us. It starts with all of us remembering who we are, making the choice within ourselves to see the correlation of what we think to what we experience of us making the decision that we are going to go deeper within. We're going to realize that we are immortal, spiritual beings, living a temporary human experience. We are not the ego. We are not the Avatar that we may identify with. It's one aspect of us, but at a higher level of the dimensional realm of consciousness. That is who we really are. What are you doing in your dream state? I think that you're going to bed in this reality, waking up from a higher level of consciousness, and then when you come back here in the morning, you don't remember 99 percent of it because it's not even relatable to your brain. Imagine you did something that was beyond the five senses. Imagine you did something that you had no words for it. You can't even explain it. Their colors you've never even seen, you know you're not going to have words to describe the colors you had, emotions that we don't have any human words for any human or English or any language for imagining you experienced something so far outside of your normal realm of perception that you just can't even explain it well. How would that come back to you in our awake life now with our realm of consciousness where we currently are with our brain, the only way that it has us through symbols and through metaphors or symbols and metaphors, we may not even completely understand, maybe flying and then a monkey comes out of the sky. Something happens. 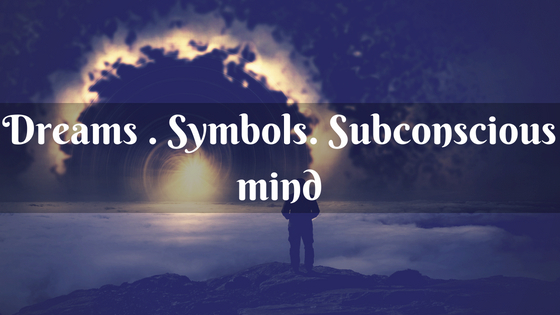 Dreams are symbols where our subconscious mind can communicate with us. You know random stuff has no real meaning, but at a certain level, it may be a certain symbol that sinks in some way. Dreams are symbols. Dreams are ways also that our subconscious mind can communicate with us. Dreams are ways that our higher self, our guides can connect with us. These are all possibilities. I don't know exactly what is happening, but what I do know and what I've personally experienced, his dreams are not just some little regurgitation of brain activity. Dreams are just a symbol for something that I can't understand because my brain doesn't have reference experiences for it, but I get the sense that every single one of us goes to bed at night. When we go to bed, we wake up at a higher level of consciousness. We are more connected to people that had made even passed away in our life. We are more connected to everyone else at a deeper level. We may be doing similar things that we're doing now. I believe in my dream state that I may be teaching at a certain level, had many “dreams” where I am speaking in front of different people. I am teaching certain ideas very similar to what I do in my real life. When I wake up here and I go, Whoa, this is the real life. This is what I do. I'm doing something similar in my dream state and that is a symbol for what I could be doing it at a higher-level realm of consciousness and it's a possibility. Like I said though, I believe that this is all a symbol. I believe in a way life is a metaphor or a symbol. I believe that as real as we think does this. It's an experience. I believe at the fundamental level. We are immortal, spiritual beings, living a temporary human experience. We are forgotten who we are because that's part of the game of life. We have a time, space, linear type experience, but in actuality, things happen instantaneously and higher dimensional realms of consciousness. We are all here right now for a collective system upgrade, a system consciousness shift. We may have forgotten and that's why we're here, but I believe it's one of the main reasons we are here and then as we become more aware of who we are, we start to then tap into more of our true power and with more of our true power, with the remembrance of who we are at a higher-level realm of consciousness or more to the core frequency of who we are. We start to create from a much higher paradigm and that our life right now is about us connecting to our higher self, us connecting our Eagle Avatar to that have a larger aspect version of us and I believe we're all remembering it. I think this is very empowering. I think that our natural state is that of unconditional love. I think that's who we really are, that we may come here, forget all of this because it's a beautiful thing to remember. It's a process to remember and maybe part of the journey is to reconnect, remember, and to be the best version of us, to embody more of our true self, to let go of what doesn't serve and then exists in that higher level dimensional of consciousness, of unconditional love. I believe in your dream state. You're doing things you don't even understand. You can't even imagine because you are so much more beyond that which you can't even imagine to begin with and that you may give yourself these symbols. You may give yourself these types of metaphors. You wake up in the morning go. That was what my dream was, but I think that that was just what your brain can interpret. I think you are actually much more than that, so something that I have for you is a guided meditation that will help you to raise your vibrational frequency so that you more so merged with this highest version of you so that you create things easier in your life so that you connect to yourself at a very deep level. It will show you how to raise your vibrational set point. You do it for 21 days, I think will absolutely transform your life and another. I'm going to be sharing with you a Law of Attraction meditation that will help you manifest your next day the way that you prefer. I recommend you to do this either right in the morning when you wake up or before you go to bed the night before. Align your energy and thoughts to attract synchronicity into your life. 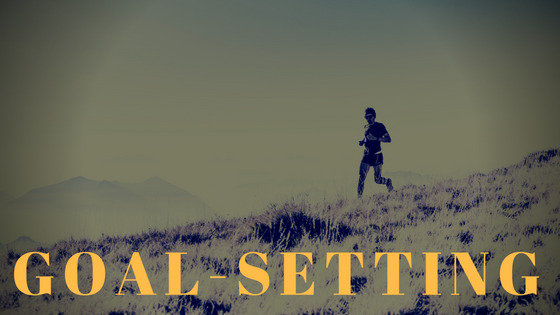 What I’m going to share with you today is something that has absolutely transformed my life and that is learning how to set intentions the night before I go to bed or right when I wake up in the morning for the way I want my day to go. This is something that I've been doing for less than a year now, but it is totally transformed my life because I'm able to get what I want done in a very smooth way. At the same time, I'm able to attract synchronicity into my life because I have aligned to my energy and my thoughts right before I do something. This is going to be one of those blogs that I do where I do express explanation in the beginning and then what I do is we do a meditation at the end to wire it in and the meditation is something that I recommend you to do for at least 21 days to really get the full benefit of it and you'll find that things start happening easier than ever because you are aligning your energy and your thoughts to what you want in a very powerful way and by doing it and chunking it into what are called segments. And I'll explain that in a minute. What you do is you start to find that things just kind of lock into gear in a much easier way. Let me explain this first off because the one we understand it, we can then see why we're doing it and we can see what it is doing by us doing a meditation like we are about to do. This is the idea what we are and what we have around our body is our body and our energy does not end at right at our fingertips. There is an electromagnetic energy that goes around our body. This is the something that the HeartMath Institute has proven has shown and there's actually more electromagnetic energy in your heart than there is in your head. Nonetheless, there's a toroidal field that goes around your head. There's a toroidal field that goes around your body. In general, this toroidal field that's constantly going around your body has within it the emotions, the feelings, and the patterns of your thought are within that emotional field, that emotional and energetic field. Now when you go out into the world, you are linking up with other people. You are linking up with other situations that are in alignment with your vibration. This is when they say in physics that everything is vibration. Your energy field has a certain vibration and if your energy field is of a certain vibration, you will experience certain things in your life. Now in general, for about a 30 day period, you have that have the momentum of the thoughts you've been carrying around, so it's almost like the thoughts that you may have thought a couple of weeks ago, maybe you had something happened, there's a possibility, there's still a ripple of something that happened. Maybe it was something positive, but it's still within your energy field. When you learn how to observe it and you're not reacting to it, or when you learn how to direct it, what you do is you start to create what you want in your life more deliberately. This is the thing with segment intending. In the beginning, it may feel like as you do it, it's not doing as much, but it compounds over time. This is why when you are segment intending your day, which means that you get up and there are certain segments of your day that you intend for certain things to happen. So let me give you a couple examples. This is something that can transform your life. If you begin to apply just this alone, what you do is you wake up in the morning and you set intentions for what you're about to go into. For example, let me show you how I segment into my day up until this point, and it's early on in the day. What I do is I get up in the morning, I set the intention that I have a really great meditation, that I'm able to observe my thoughts in an easy way that I feel connected to my heart center. I set the intention that I do that for 15 minutes and I feel great after I do that and I do feel great and what I do is I get up and I set the intention that I have a great cold shower because I film videos right when I wake up every morning. So, I set the intention that the cold shower wakes me up, that I feel in lived with energy. I'm growing that within my energy field and it makes it easier and easier and easier. Now when I get into a video, I just pop into the flow state. None of my videos are scripted. The only thing I know before I go into my video is normally the title and a general idea of what I'm going to talk about, but then I just go on and normally my videos are 15 to 20 minutes. I don't say it to brag or say that it makes me special because I can do that. I'm saying I practiced it and I intended for it through the power of intention and focus and practice. That's what it is as well. Nonetheless, what am I saying for this is that your energy field has within it those thoughts, emotions and patterns. So what? When you begin to segment intent part of your day, that everything can begin to change because then you build a new momentum and that vibration then attracts to it a totally new reality. With all that being said, what we're going to do today is we're going to do a meditation that I recommend you listen to when you wake up in the morning or before you go to bed at night or both. But this is what I've done more and more over the time of the last year is I've done that for a while where I say segment intending. I have that segment intention, but this is what I do a little bit different now is what I do is I literally will imagine my whole day right when I wake up in the morning. So what I'll do is I will imagine myself and what do I have to do today? I always have written, this is a little productivity tip for any of you guys that want it. The three things, most high leverage things I'm going to do for today. I do it right when I wake up in the morning after I meditate and after I take the cold shower. Normally one of those was making a video. I set that intention so that almost like as I go to bed at night, my subconscious mind is priming myself for that experience and it just makes it so everything just falls into place easily. But what I do is I imagined the things I have to do today. Today, for example, I have to go to the gym. I don't have to, but I want to. I'm going to go to the gym, I'm going to go shopping and get some stuff for the house. I'm going to do a couple of things online with my business. I'm going to put together some things on my business website. There's a couple things I'm going to do, but I knew when I wake up in the morning that I set that intention and that I imagined everything going well. I ran it through in my mind and I imagined myself being there and everything just falling into place so smoothly. Everything just happened perfectly. If anything did come up that was out of the blueprint for how it should happen, I imagined myself really like embracing it and learning from it. And then going back into it, and as I did that, it's like it makes it so much easier. I promise you, if you apply this, it will transform your life and that's why what we're going to do now is we're going to imagine our whole day, so maybe it's the end of the day to day and you want to imagine tomorrow or maybe it's the morning right now and you have quite a bit of your day left or it's the middle of your day. Just imagine what you'd like to happen the rest of the day and start to focus on a couple of things that to you would be ideal. Maybe it's you tab and a great conversation with somebody. Maybe it's you connecting to somebody else. Maybe it's you having some type of abundance full through or you have to go talk to a client or something for your business. Whatever it is. Imagine that going well. Think of a couple scenarios and what we're going to do is we're going to go into that intention exercise in a meditation. I'm going to guide you through help you relax, and then what I'm going to ask you to do is to focus on the emotions, focus on the different intentions that you have, and focus on how it would feel, and we're going to go through this together. This is something you can listen to whenever you want, but like I said, in the am right when you wake up at nighttime, right? If we go to bed, that's the ideal time to do it. So right now, what I'd like to ask you to do is to take a deep breath in, a deep breath out, and then to feel yourself relax. Let's take a deep breath in. As you breathe out, feel your body relax more and more knowing that with every breath you take, feeling more and more relaxed, put your hands over your heart because the electromagnetic energy is so much more powerful than that of the head. It's been proven that by putting your hands over your heart and feeling the sensation inside your heart center, you work with rowing the electromagnetic energy around your body. Let's take another deep breath in. Deep breaths out and feel ourselves relax now. As you breathe out, feel free to close your eyes and feel yourself relax more and more. Well, imagine yourself laying there relaxing more and more and feel a wave of relaxation through your body. Every time you feel this wave of relaxation, your body loosens up. You can feel yourself now drifting to a very relaxed state, feeling loose, feeling presence, feeling blissful. If you're the sensation behind your eyes and imagine it more relax, imagine side, you're right. Now, imagine your body relaxing more and more. Imagine a wave of energy flowing through your body. As this wave of energy flows through your body, you feel more and more relaxed. Feel this sensation inside of your head, behind your eyelids. Feel it. Feel the sensation in your throat. Relax your neck. Now you have a sensation in your left hand, left arm. Squeeze and relax the sensation in your right hand, right screens. Feel the energy in your heart center feeling warm. Feel ball of energy spinning clockwise or it spins. The more you feel in this heart energy, feel right below your heart center, your awareness and your stomach. Feel this sensation of relaxation now. Feel the sensation in your left leg and foot. Relax like a sensation in the right leg and foot. Relax. Let go. Now. You were in a much more relaxed state and you can plan your day. You can set your intention is very powerful. Now imagine the next segment of your day. Imagine whatever that segment is, maybe that segment as you in the morning he beats you. Going to talk to somebody specific data. Your GPA was whatever it is. Imagine the next segment of your day. Imagine have an ideal way. Imagine how you would feel if it turned out perfectly matched, what kind of sensations you would feel in your body. Bring the awareness into your heart again and feel how it feels to feel present to the moment while you do and are in this segment of your day and amplify that energy in your heart center right now. Now, what intentions do you have for this segment of your day? Set those intentions. I intend Dr. What do you intend? No. Imagine yourself feeling happy and peaceful and whatever segment of the day. Be grateful how everything is turning out. Now let's move to the next, second day. What is the thing after that that you intend to happen? Imagine that in detail happening the way you say your mind. What do you intend to happen this second now? How would it feel if everything turned out perfect for that segment? What would it feel like in your heart? Imagine that feeling, feeling inside your heart magnifier increase its energy just by thinking about it. I think of a ball of energy in your heart to spinning faster and faster, and the faster it spins, the more you feel this gratitude that you feel. No things are going to happen that way. Now let's move onto the next segment of our name. What's the next segment? What you want to happen, what you intended before imagined that I intend. What do you intend to happen in this second? Imagine a scenario that would represent to you the ideal circumstance I am setting. The intention is more powerful than you even imagine. I'll put the awareness, your heart center, and feel the emotion of how it would feel for that segment, that scenario to go out and perfectly happened. Just the way. How does that feel? Imagine your body posture, how you carry yourself when you're in that state of being, feel grateful that everything is happening perfectly. I think of one more segment that you would like for. Imagine it in detail. What are your intentions now? Imagine field that ball of energy in your heart faster experience than what you feel that love energy. Pay attention to how it feels to set these intentions. How does that feel? Set general intention for your day and in general, say larger. It's going to be something simple. I intend to always be at the right place at the right time. I intend for them always positive way. I intend to have an amazing day. I tend to do whatever overall intention. You have. Set that intention right now. Then imagine yourself going to bed tonight after all of this has happened and imagine how accomplished you feel. Matching the energy of your heart, a passionate you feel, and simply know when you go to bed tonight, we are going to feel some accomplishment, was passionate gratitude. Now what we're going to do is we're going to come back to the count down from five to one, and with every number I count down, you're going to feel more alert or present to the moment and you're going to know that things are going to happen and be much more smooth way today you're going to feel more deliberate about your day than ever before. Five, feel yourself become more and more present for feel a wave of relaxation through your body. In a wave of presence. Three, start to wiggle your toes. Start to become more present to fill yourself now, open your eyes. Feel certain that you're going to have an amazing day to day that your intentions will pan out the way that you intend for them to. Remember, the most important thing is not what happens, but it's how you respond to what happens and what you just did is you directed your energy and your emotion in a powerful way in the direction I want to recommend that you do this meditation for 21 days to get the maximum benefit out of it. I think it can transform your life and helping you to set more deliberate intention to bring in your emotion. Remember manifestations and just intention. It's not just emotion, it's both. This pinnacle right here at this middle section is right where the power is. That's why doing this meditation daily Family Change Your Life, so I also have a guided meditation that will help you to raise your vibrational set points that you manifest from a much higher paradigm.